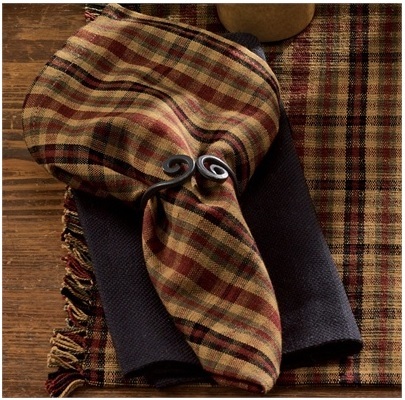 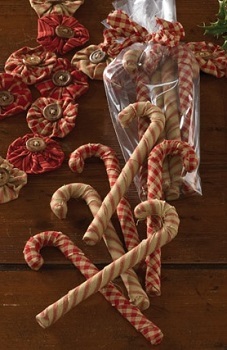 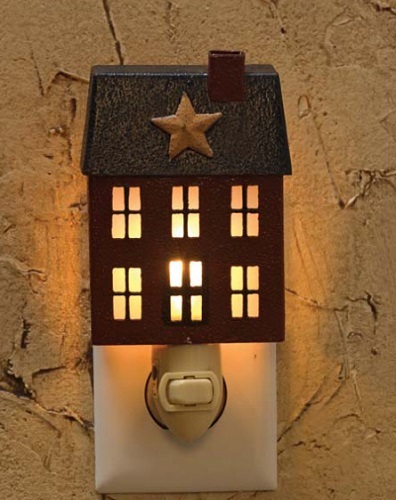 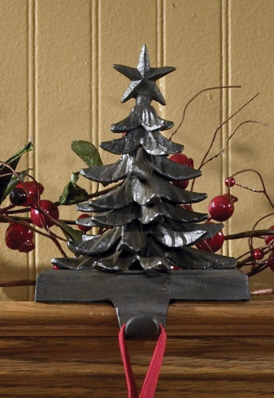 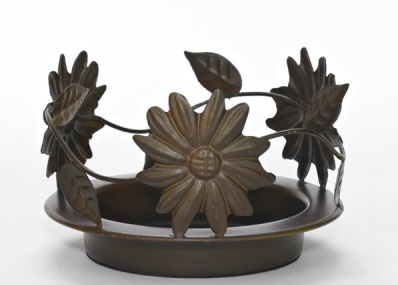 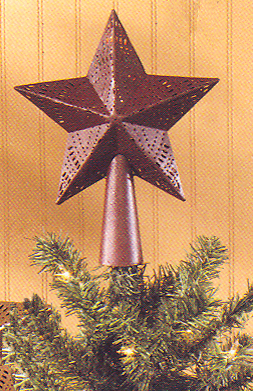 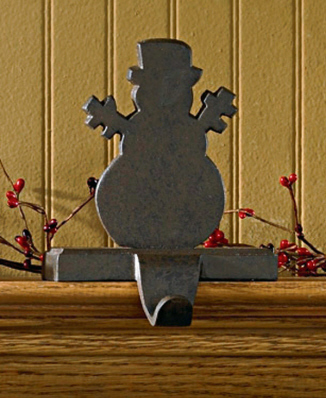 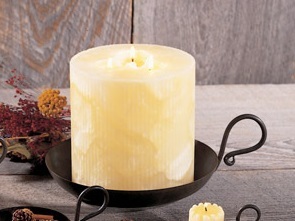 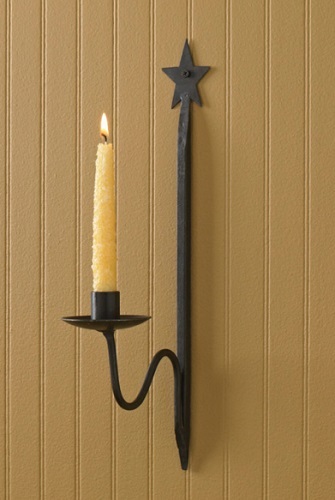 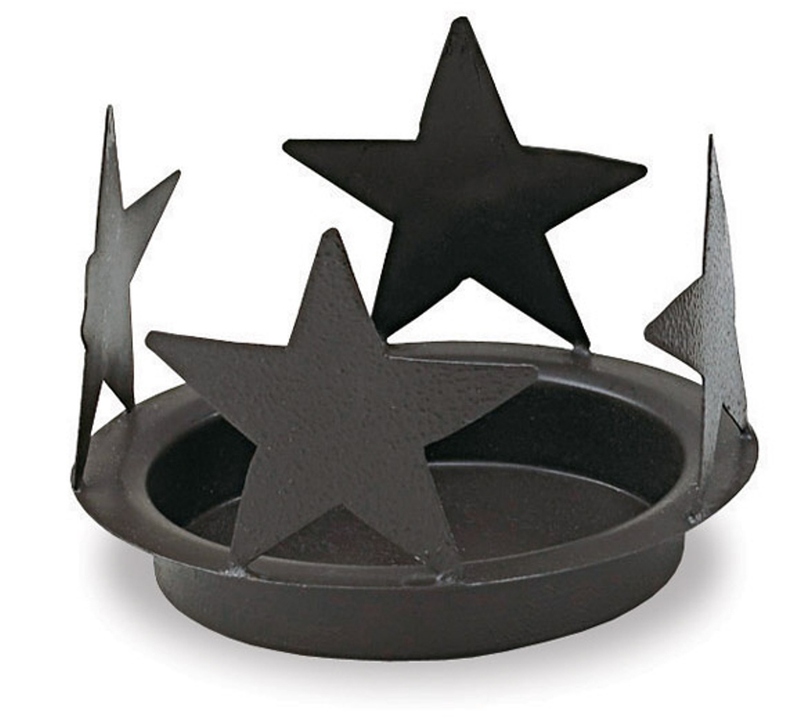 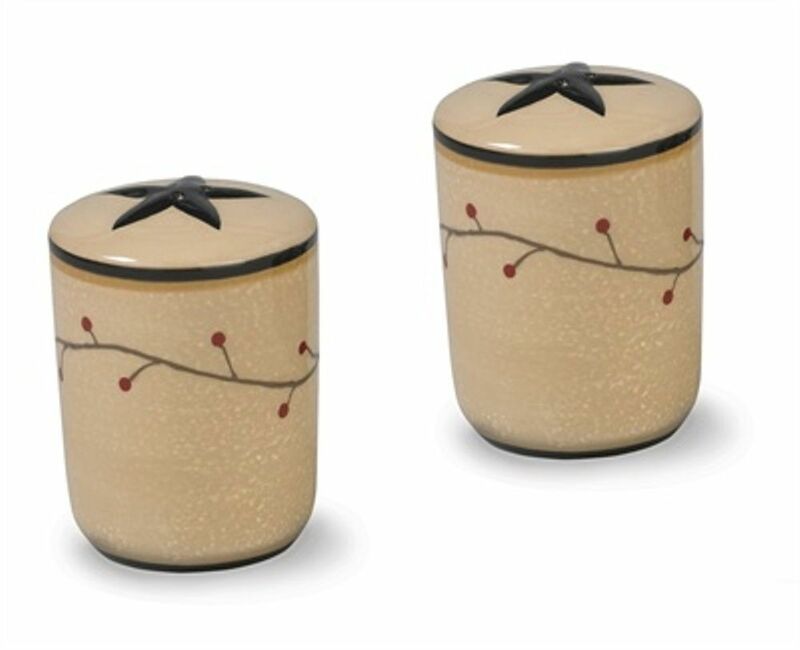 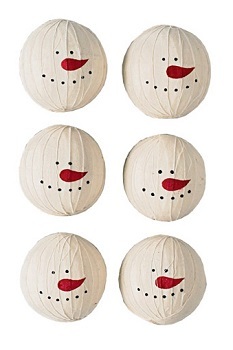 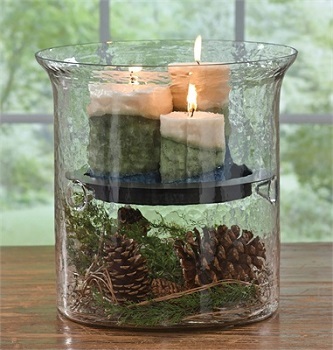 Creating a cozy, stylish home is easy when you shop for decorative accents from Park Designs. 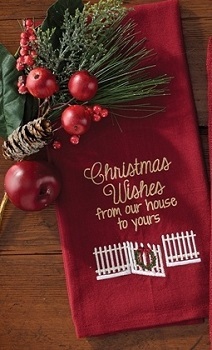 At Christmas Tree Hill, we’re thrilled to offer an extensive selection of beautiful home products from this popular brand. 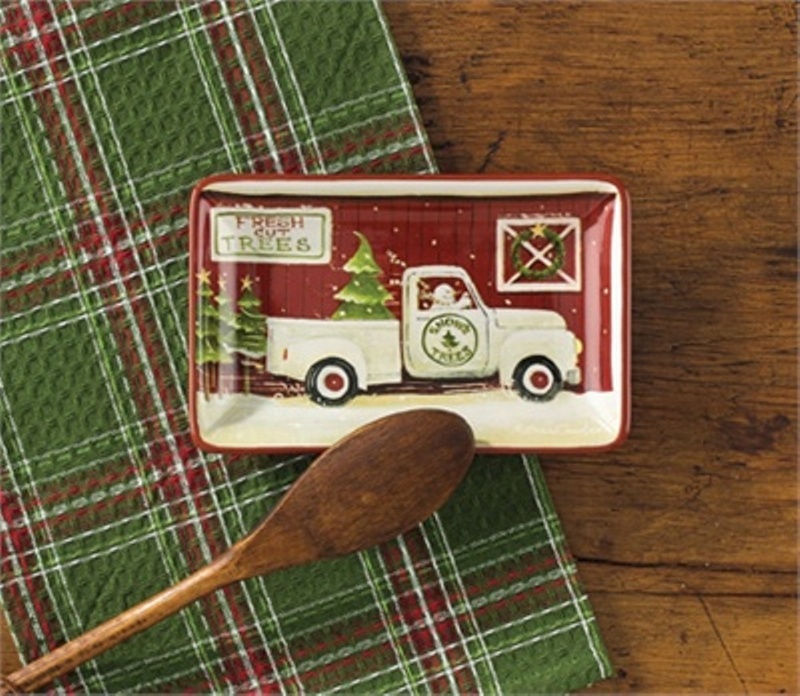 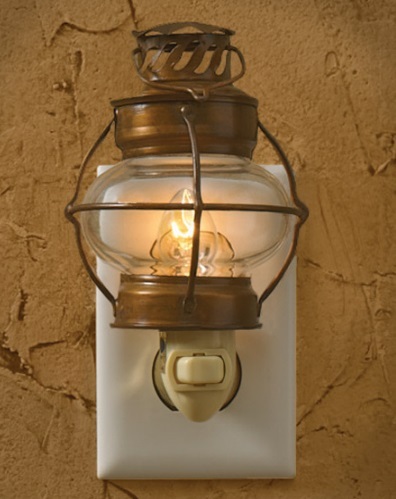 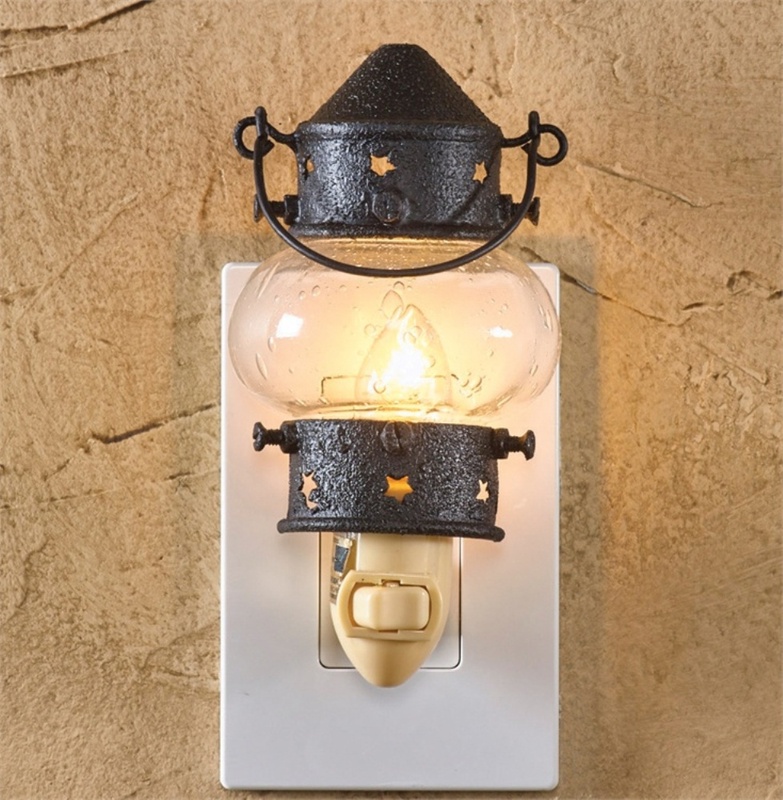 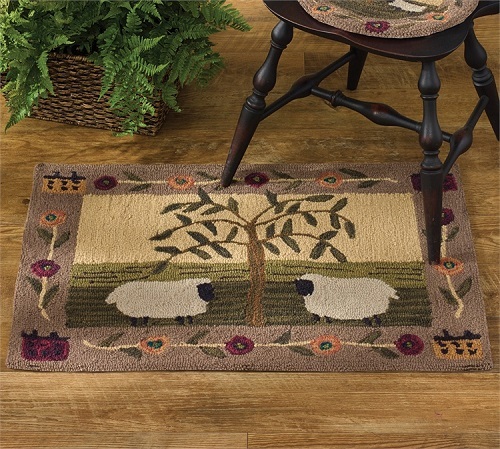 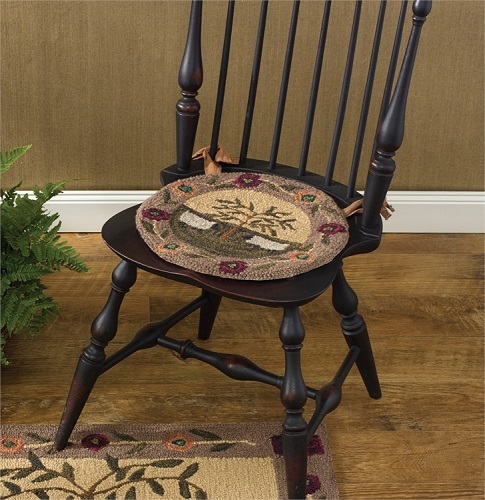 With earth-tone colors and rustic details, these Park Designs products are sure to bring a warm and welcoming feel to your home. 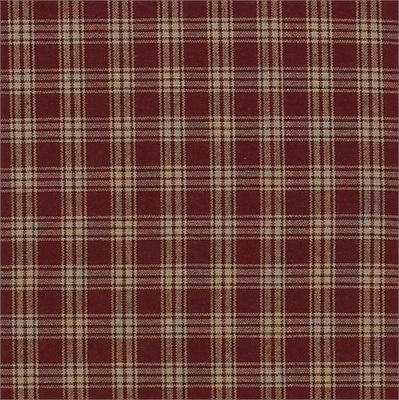 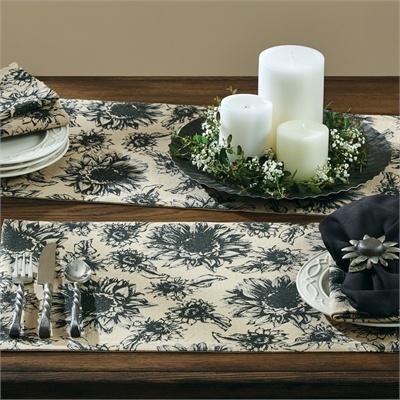 Start browsing now to discover stunning Park Designs linens, placemats, window valances and more at affordable prices. 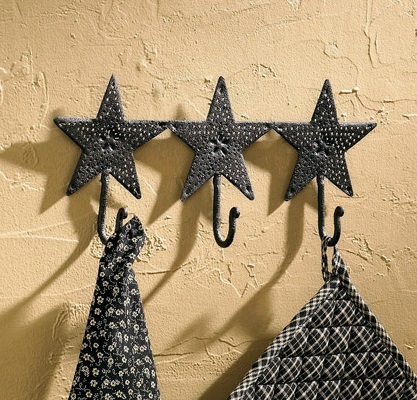 You’ll love the way these high-quality, unique décor options add style and personality to your space. 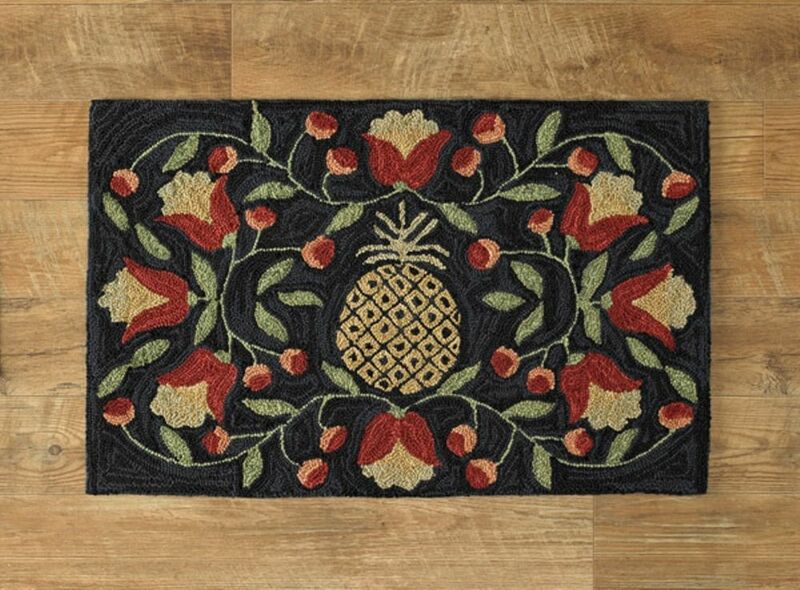 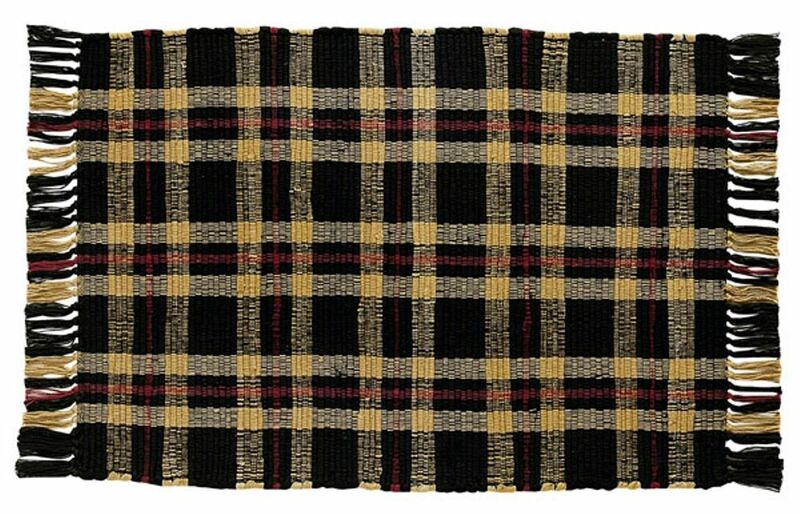 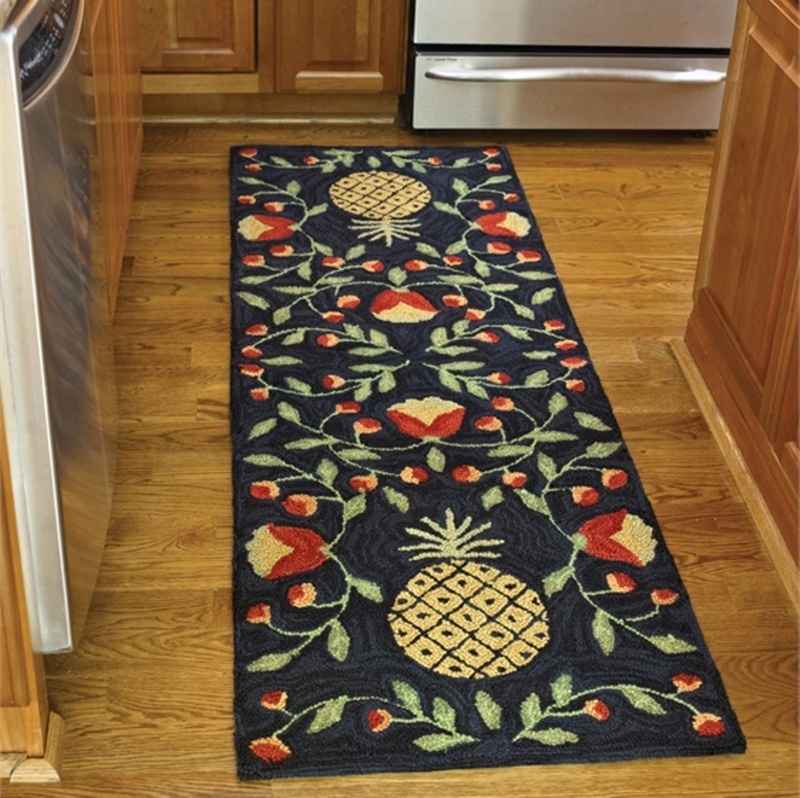 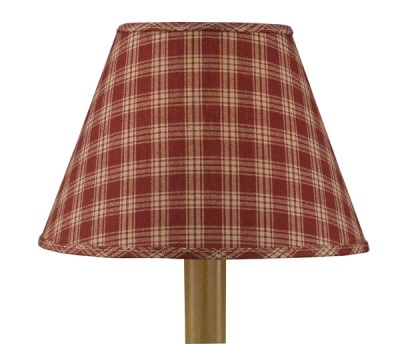 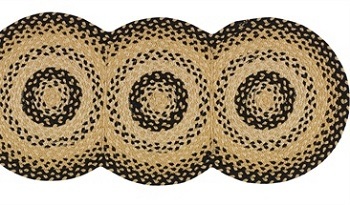 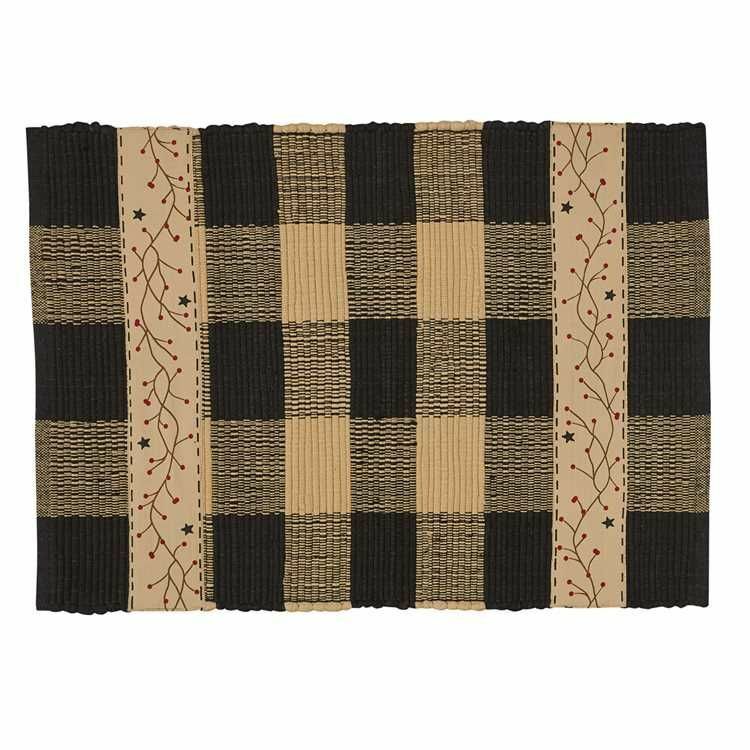 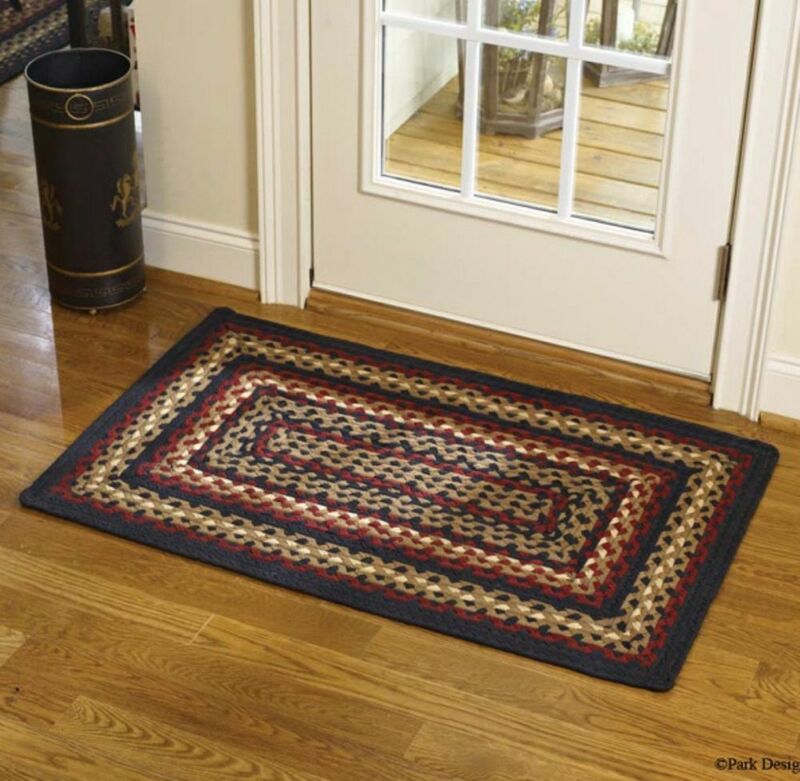 Lamp - "Electric Oil Lamp"
Rug - "Heartfelt Chindi Rug"
Decorative Rug - "Willow and Sheep Hooked Rug"
Decorative Rug - "Pinecone Hooked Rug"
Rug - "Tanner Rag Rug"
Rug - "Black Coffee" - 24" x 72"
Placemat - "Lemon Pepper Placemat" - 13" x 19"
Placemat - "Hearth & Home Placemat" - 13" x 19"
Placemat - "Hearth & Home Placemat"
Placemat - "Black Coffee Placemat"
Placemat - "Windsor Star Indigo"
Placemat - "Primitive Spice Placemat"
Accent Mat - "Burlap Star"
Placemat - "Sugar Cookie Placemat"
Napkin - "Black Coffee Napkin"
Napkin - "Primitive Spice Napkin"
Napkin - "Sugar Cookie Napkin"
Dish Towel - "Live, Laugh, Love Dish Towel"
Dish Towel - "Cherish Family Dish Towel"
Dish Towel - "Begin Each Day Dish Towel"
Dish Towel - "Lemon Pepper Dish Towel"
Dish Towel - "An Old Bear And His Honey Live Here.... 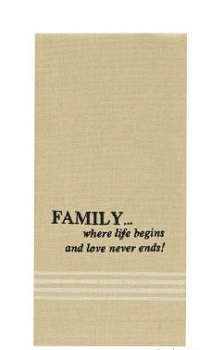 Dish Towel"
Dish Towel - "Family...Where life Begins.... 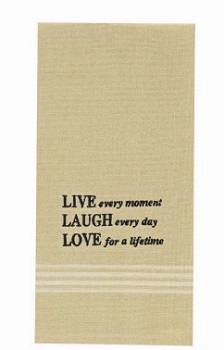 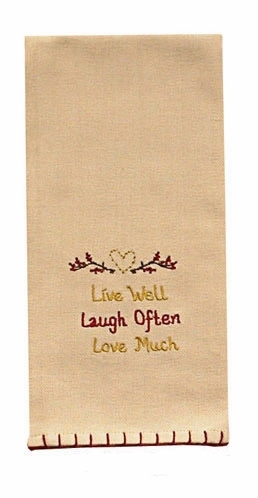 Dish Towel"
Dish Towel - "Live Every Moment.... 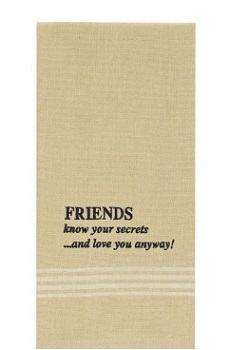 Dish Towel"
Dish Towel - "Friends Know Your Secrets.... 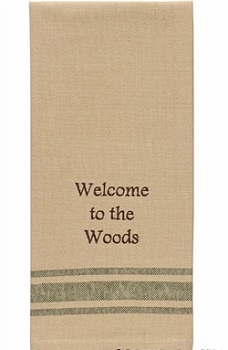 Dish Towel"
Dish Towel - "Welcome To The Woods.... 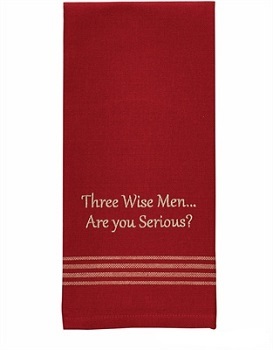 Dish Towel"
Dish Towel - "Three Wise Men... Are You Serious? 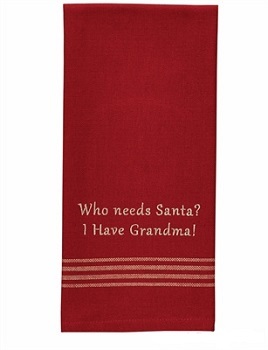 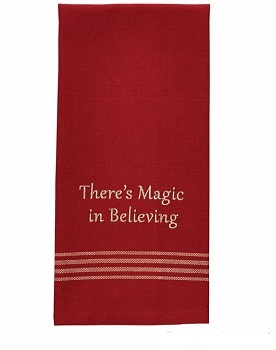 Dish Towel"
Dish Towel - "There's Magic In Believing Dish Towel"
Dish Towel - "Who Needs Santa? 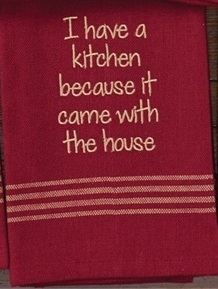 I Have Grandma Dish Towel"
Dish Towel - "I Have A Kitchen...Dish Towel"
Dish Towel - "More Than Coffee.... 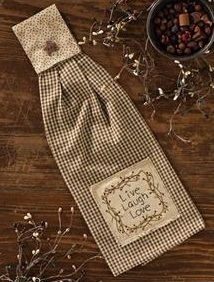 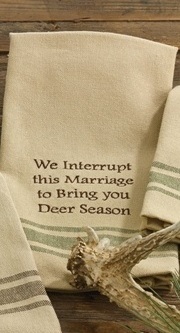 Dish Towel"
Dish Towel - "We Interrupt This Marriage.. 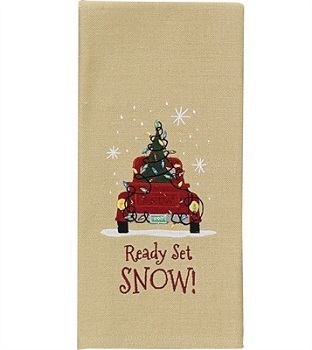 Dish Towel"
Dish Towel - "Unlike Bathing Suits.... 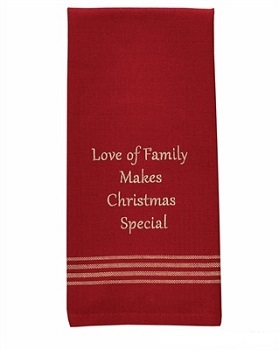 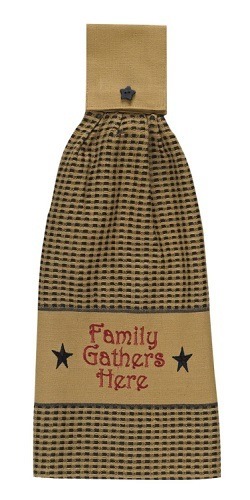 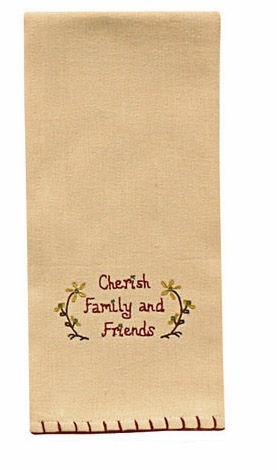 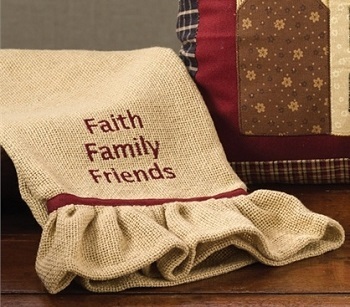 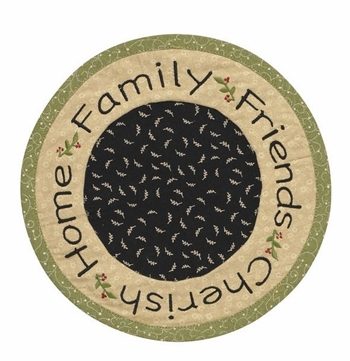 Dish Towel"
Dish Towel - "Faith Family Friends... 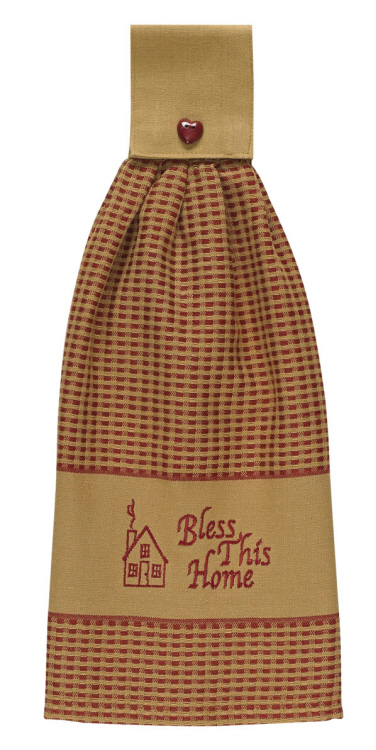 Dish Towel"
Dish Towel - "Christmas Wishes From Our House To Yours Dish Towel"
Dish Towel - "Love Of Family Make Christmas Special Dish Towel"
Dish Towel - "Ready Set Snow Dish Towel"
Hand Towel - "Bless This Home Hand Towel"
Hand Towel - "Family Gathers Here Hand Towel"
Hand Towel - "Count Your Blessings Hand Towel"
Hand Towel - "Happiness is Home Made Hand Towel"
Hand Towel - "Shades Of Brown...Hand Towel"
Hand Towel - "Sturbridge Hand Towel - Wine"
Hand Towel - "Lemon Pepper Hand Towel"
Dishcloth - "Lemon Pepper Dishcloth"
Chairpad - "Willow and Sheep Hooked Chairpad"
Chairpad - "Pineapple Hooked Chairpad"
Chairpad - "Rooster Hooked Chairpad"
Chairpad - "House & Sunflowers Hooked Chairpad"
Chairpad - "Black Star Hooked Chairpad"
Chairpad - "Folk Art Chairpad"
Chairpad - "Mill Village Chairpad"
Sturbridge Tablerunner - Wine - 36"
Table Runner - "Lemon Pepper Table Runner" - 13" x 36"
Table Runner - "Star Patch Table Runner" - 36"
Table Runner - "Folk Art Table Runner" - 34"
Table Runner - "Folk Art Table Runner" - 54"
Table Runner - "Primitive Star Table Runner" - 36"
Table Runner - "Cornbread Table Runner"
Table Runner - "Burlap & Star Vine Runner" - 36"
Table Runner - "Black Coffee Table Runner" - 36"
Table Runner - "Carrington Table Runner" - 36"
Table Runner - "Heartfelt Table Runner" - 36"
Tree Skirt - "Red Burlap Tree Skirt" - 60"
Tree Skirt - "Red Burlap Tree Skirt" - 24"
Tree Skirt - "Burlap Tree Skirt" - 24"
Wall Sconce - "Star Single Sconce - Natural Iron"
Tree Topper - "Red Star Tree Topper" - 7"
Tree Topper - "Red Star Tree Topper" - 9"
Stocking Holder - "Snowman Stocking Holder"
Decorative Hook - "Key Rack with Hooks"
Napkin Ring - "Black Star Napkin Ring"
Decorative Hook - "Single Black Star Hook"
Decorative Hook - "Black Star Triple Hook"
Decorative Hook - "Key Hooks With Shells"
Stocking Holder - "Christmas Tree Stocking Holder"
Wall Pocket - "Home Place Metal Wall Pocket"
Napkin Ring - "Forged Heart Napkin Ring"
Decorative Figurine - "Snowman Rag Balls"
Decorative Figurine - "Fabric Candy Canes"
Make your home feel undeniably inviting by incorporating some of these products from Park Designs into your decor. 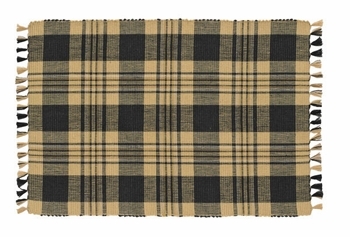 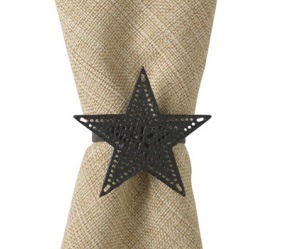 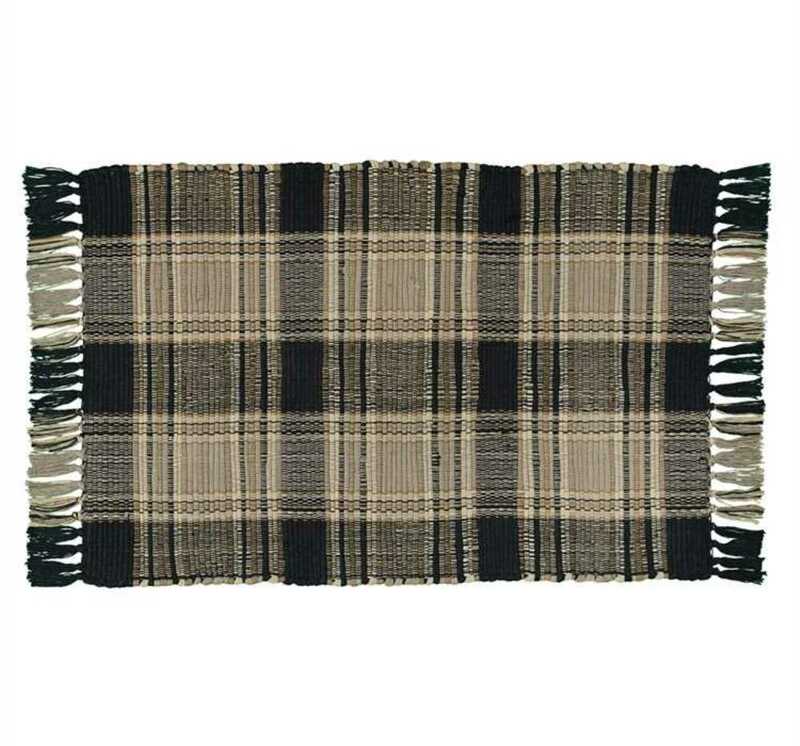 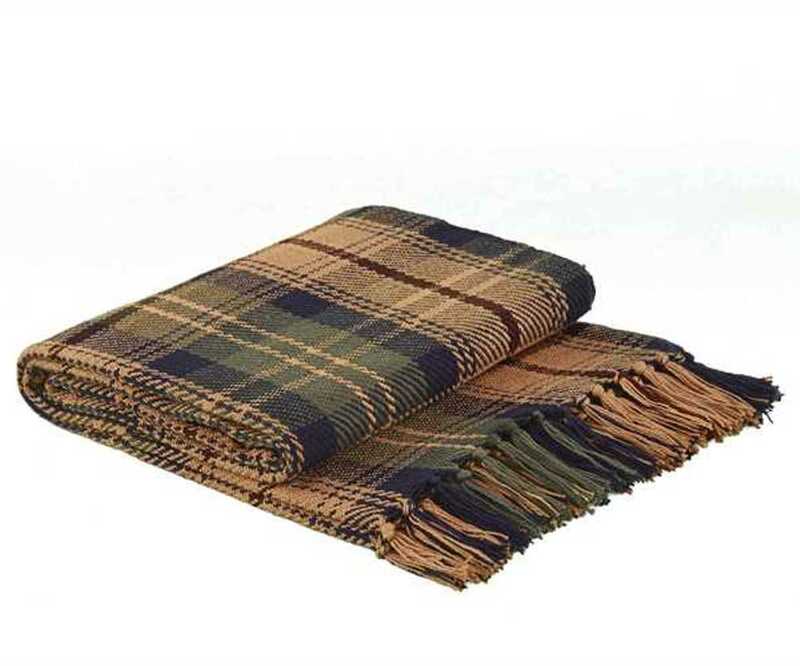 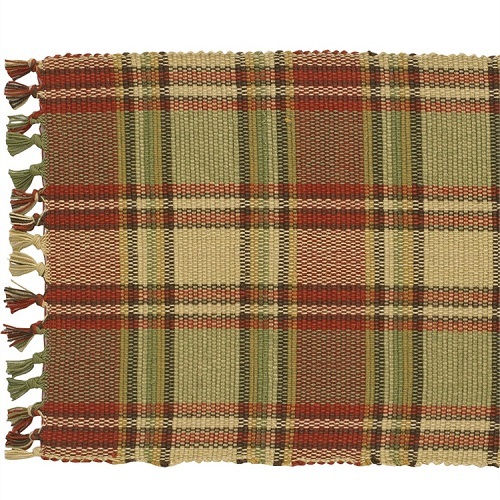 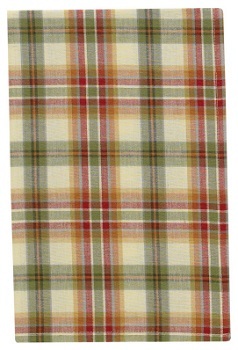 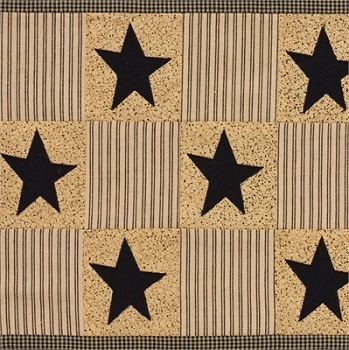 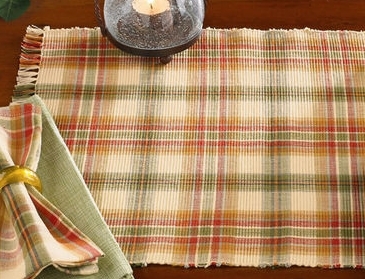 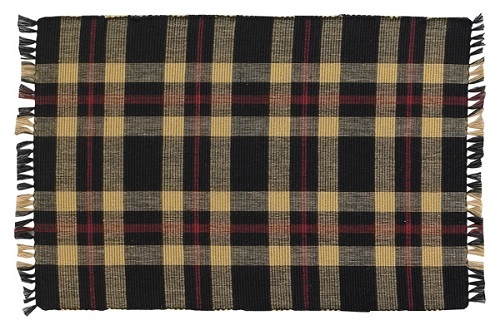 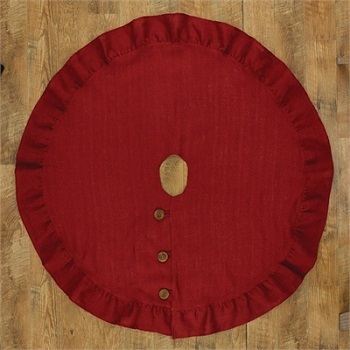 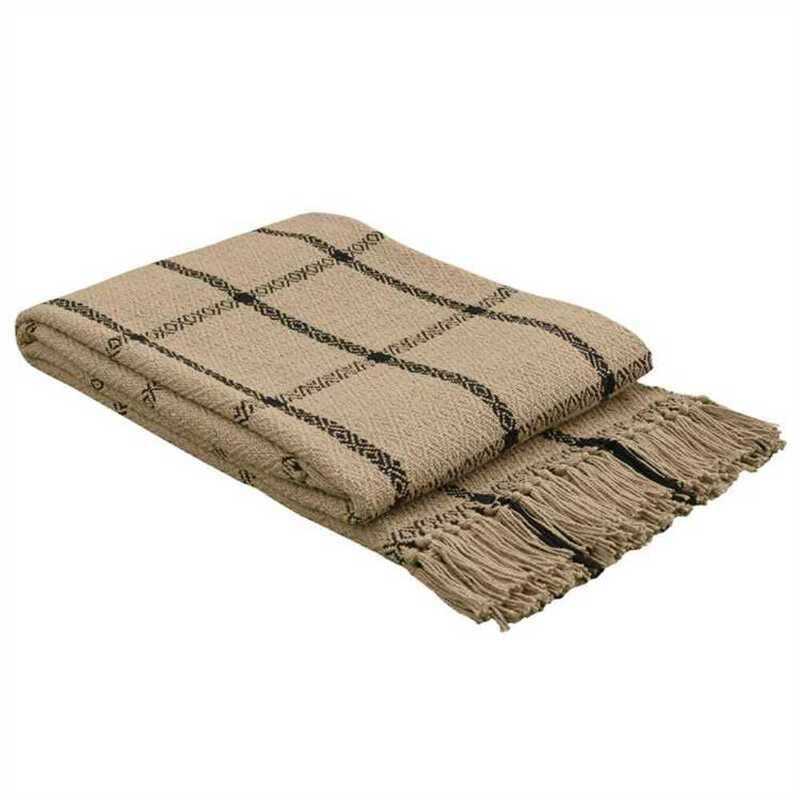 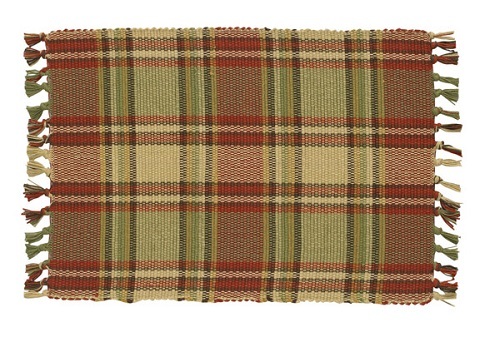 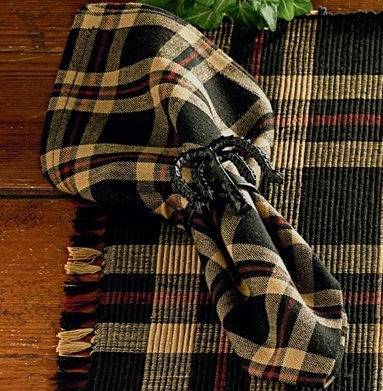 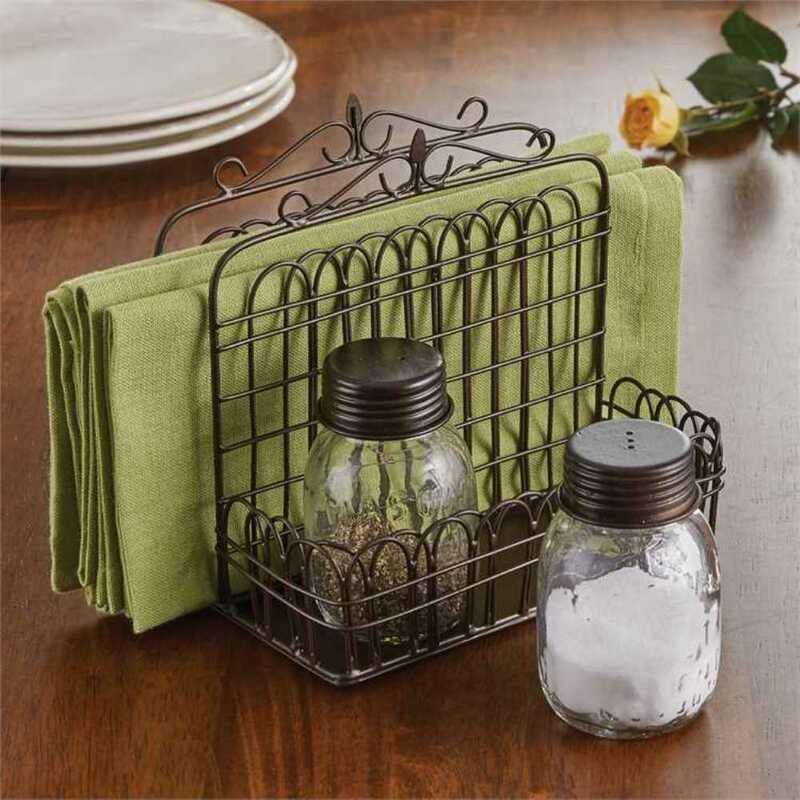 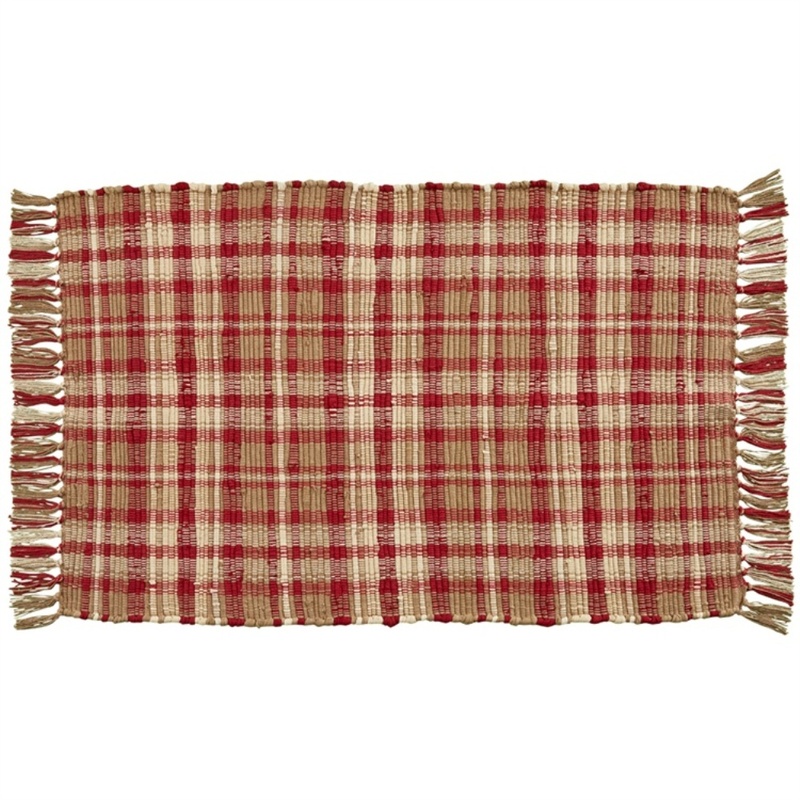 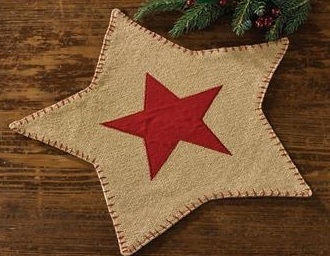 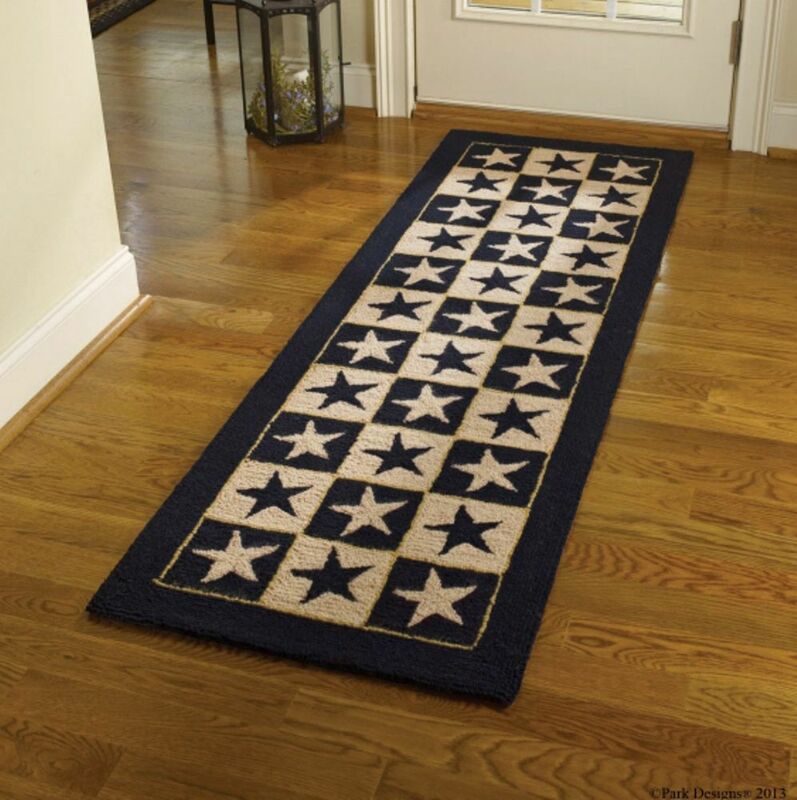 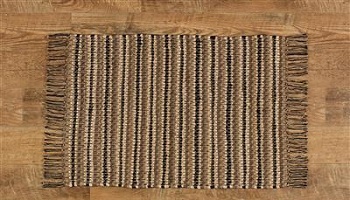 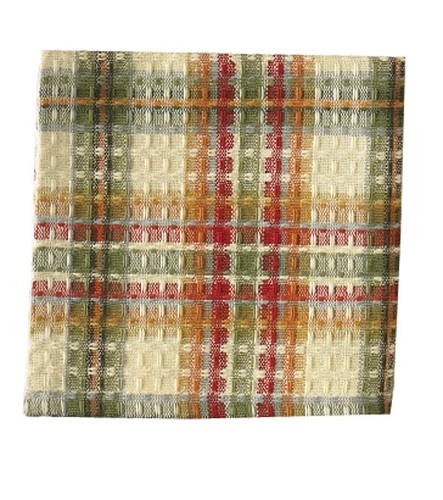 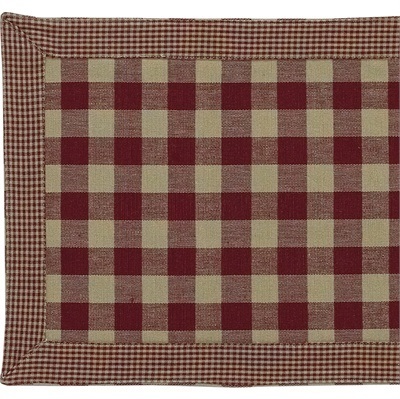 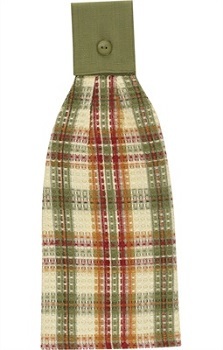 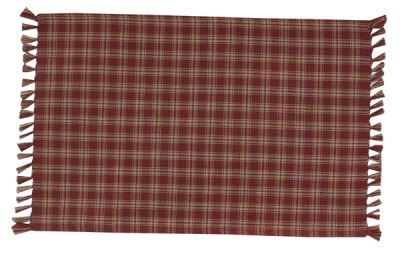 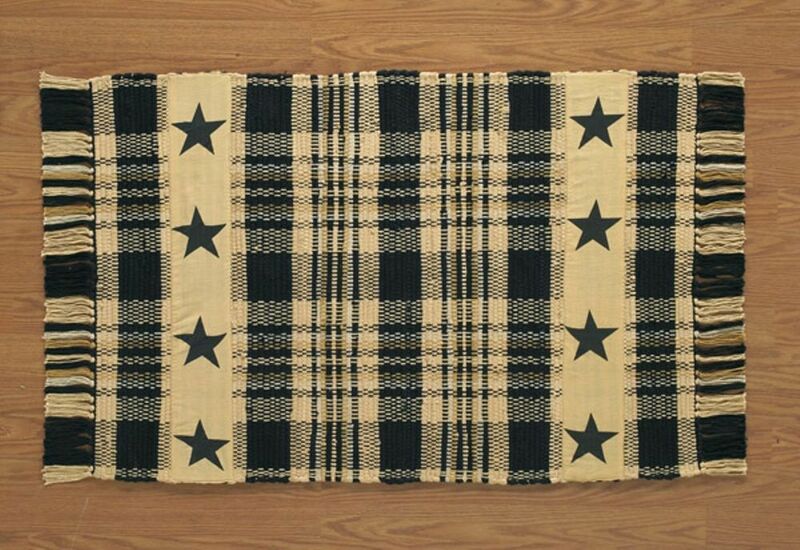 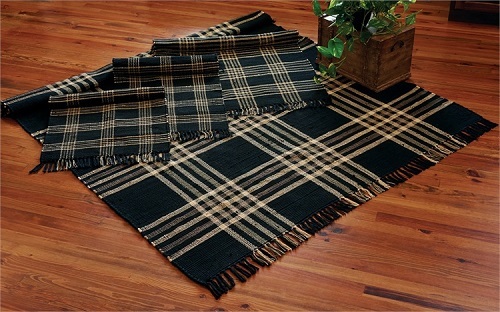 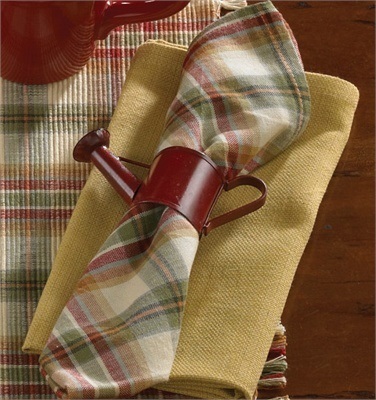 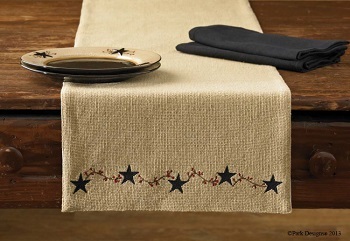 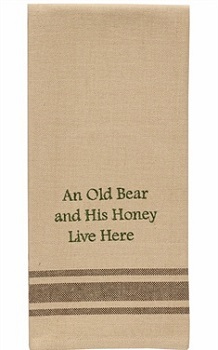 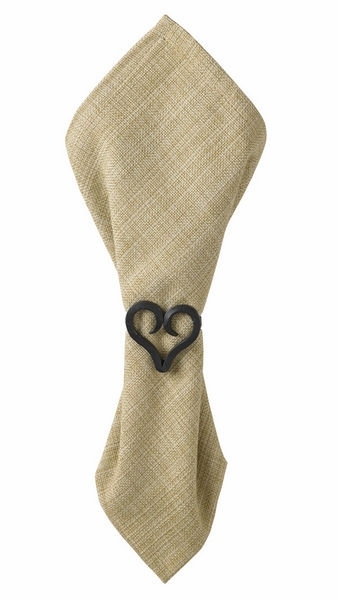 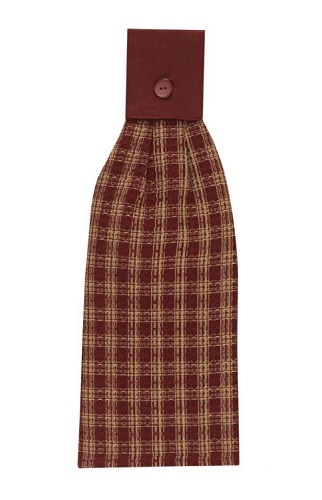 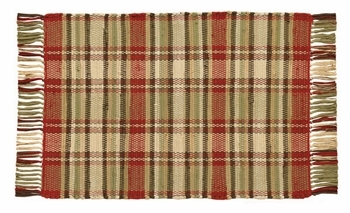 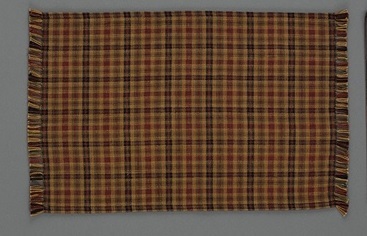 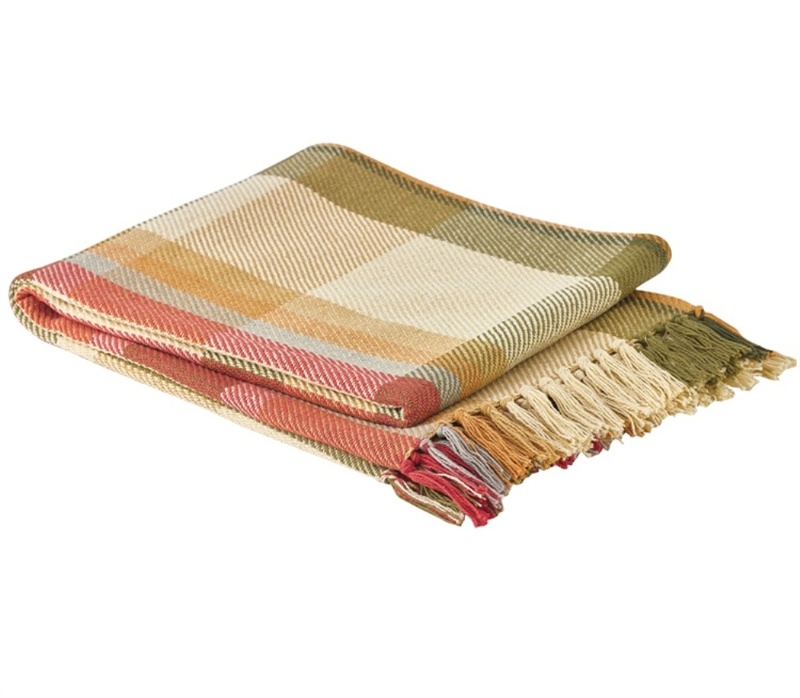 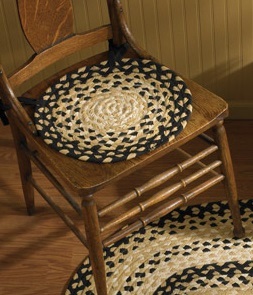 For instance, a Park Designs table runner can add a rustic touch to your dining room. 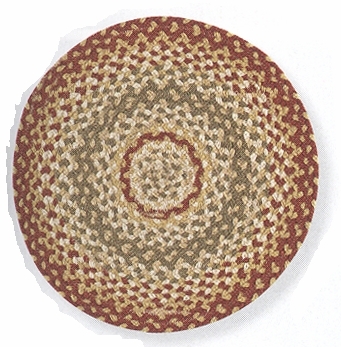 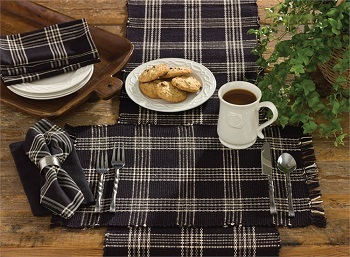 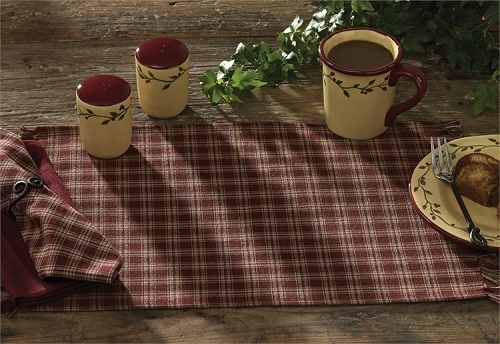 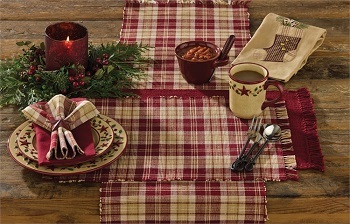 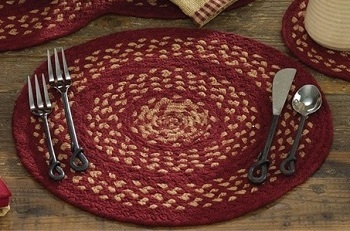 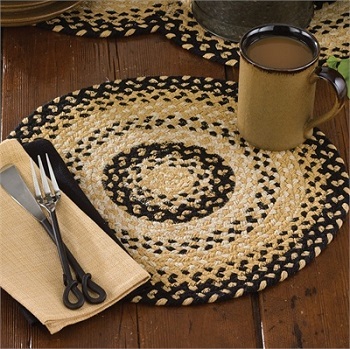 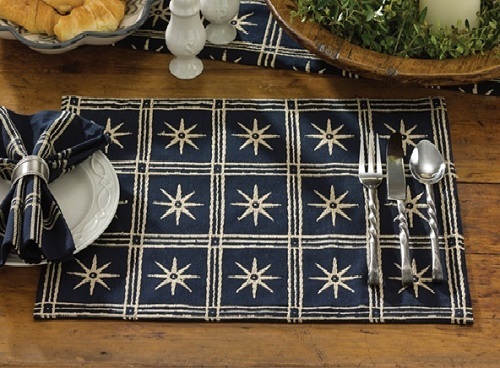 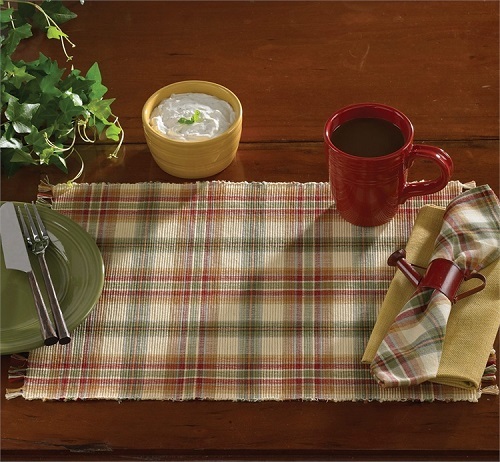 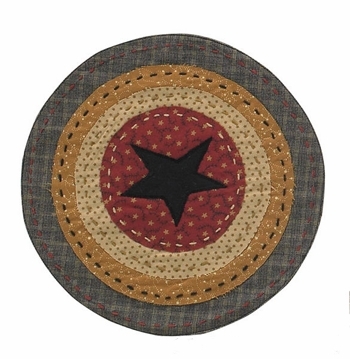 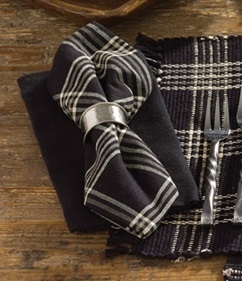 For a coordinated look, you can also use Park Designs placemats, napkins and chair pads to outfit your table. 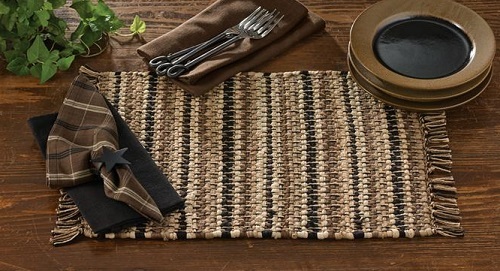 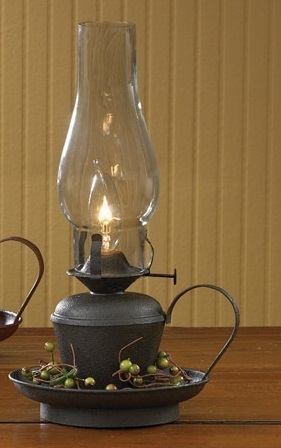 The rustic style doesn’t have to stop in the dining room, however. 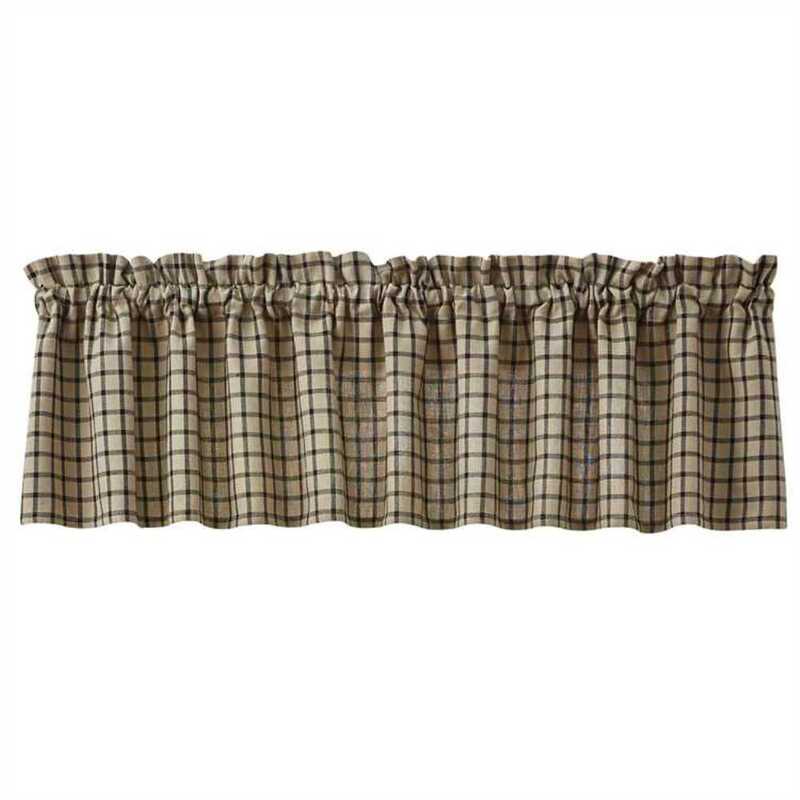 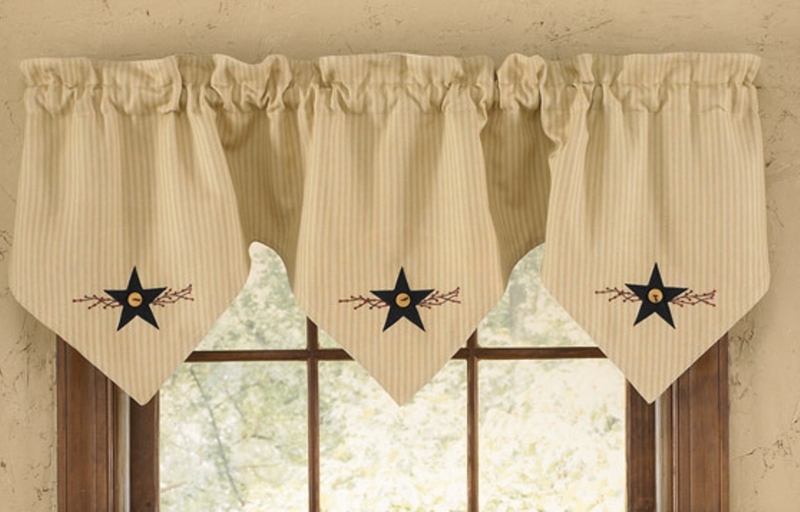 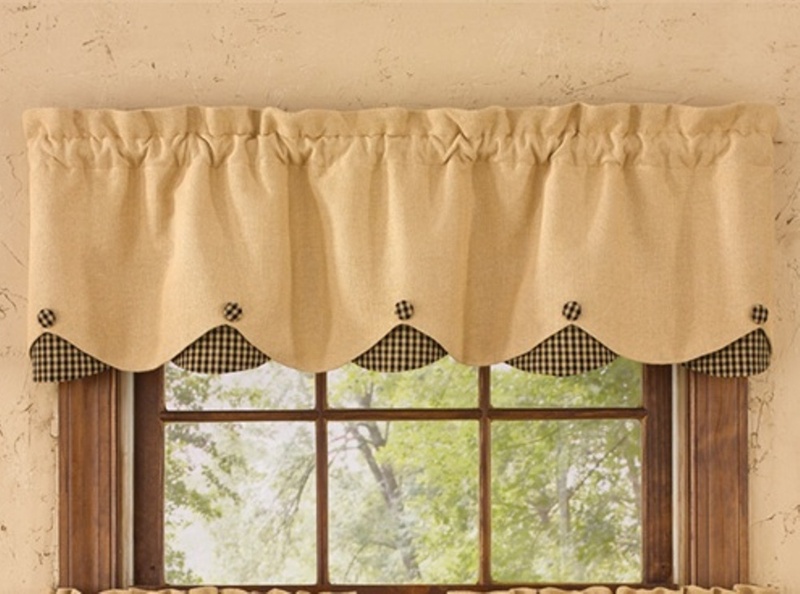 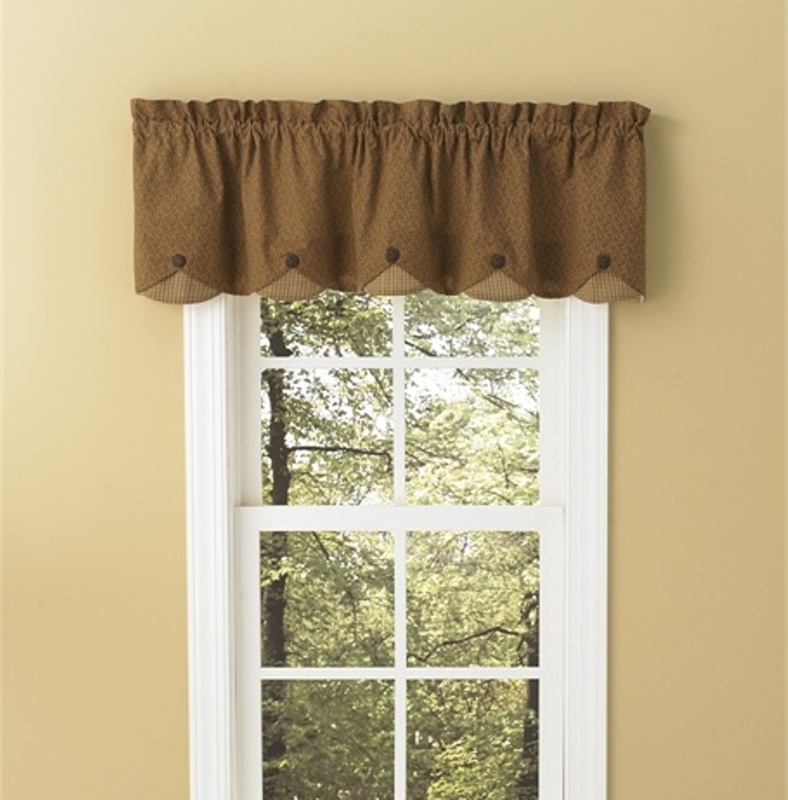 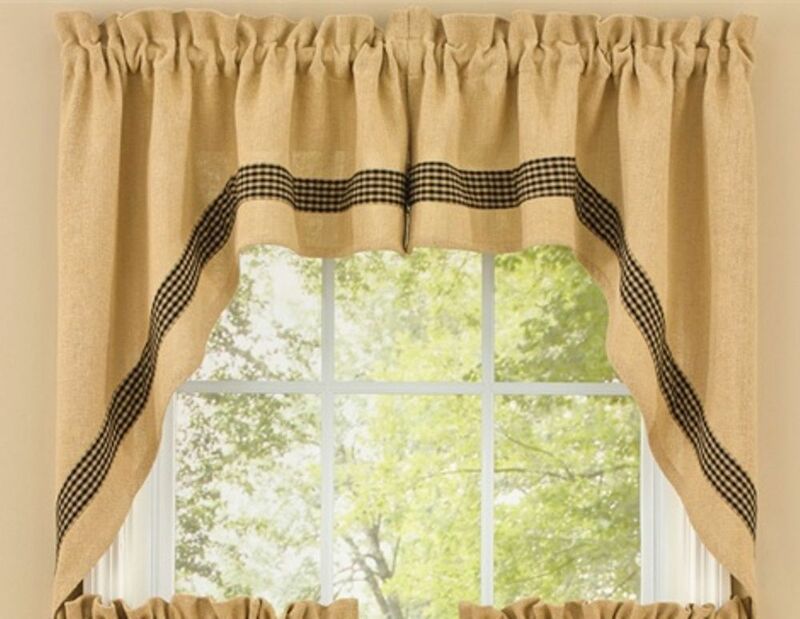 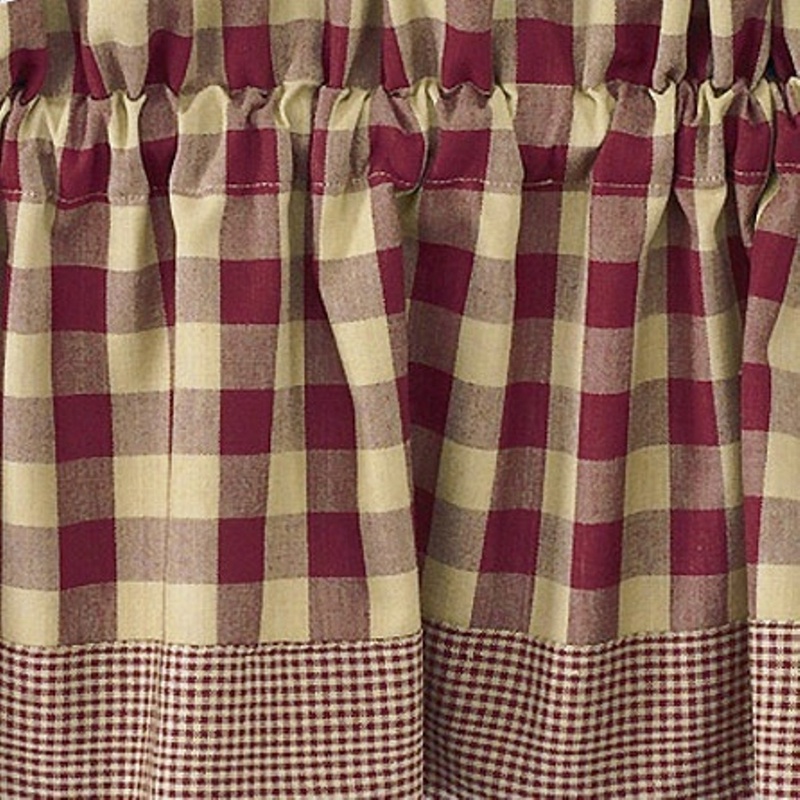 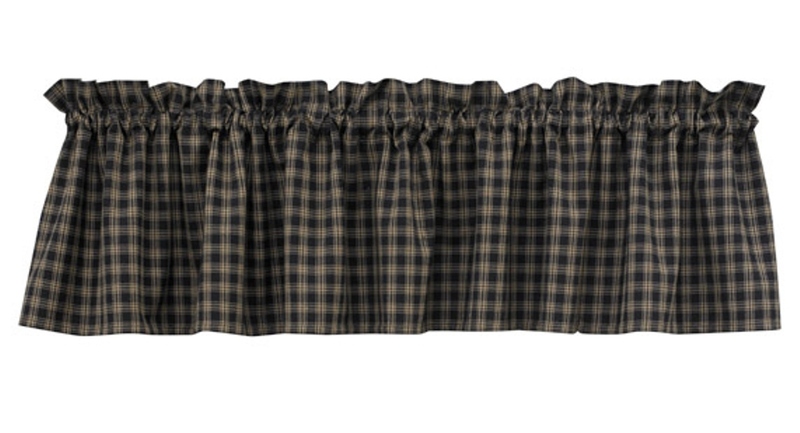 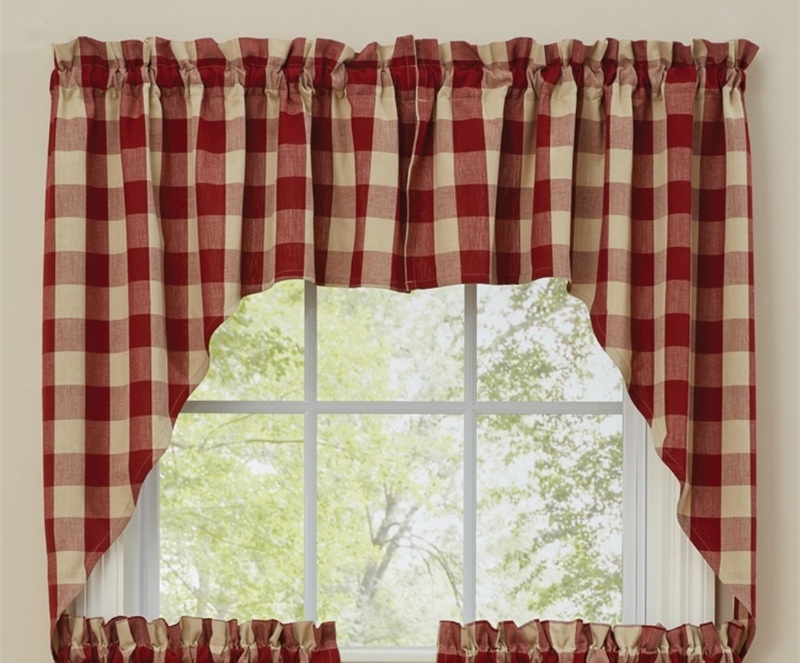 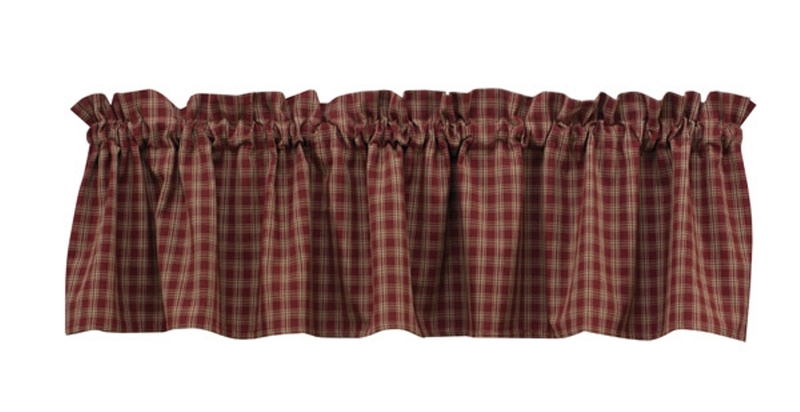 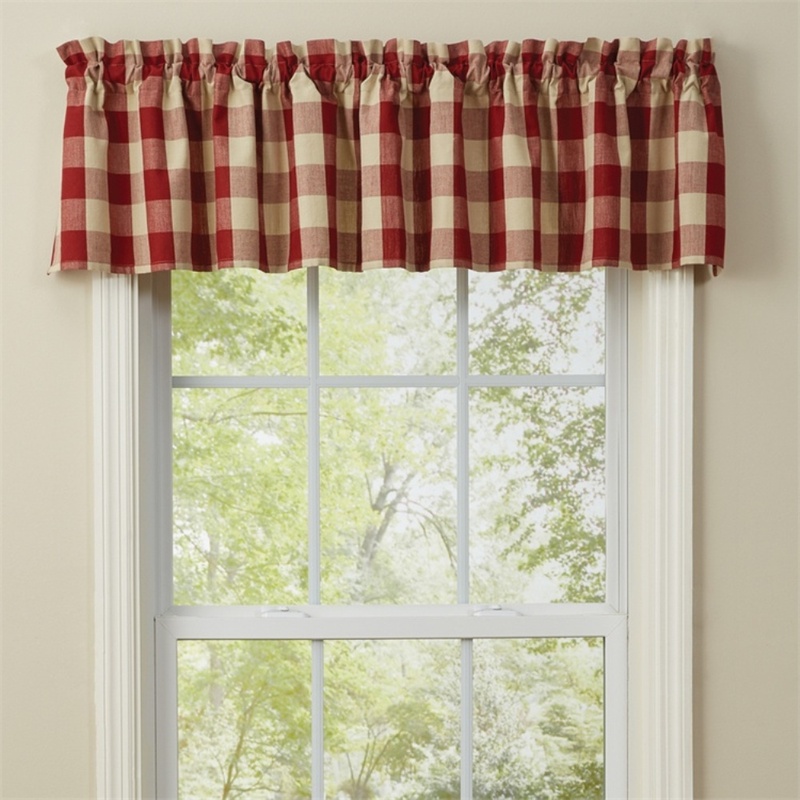 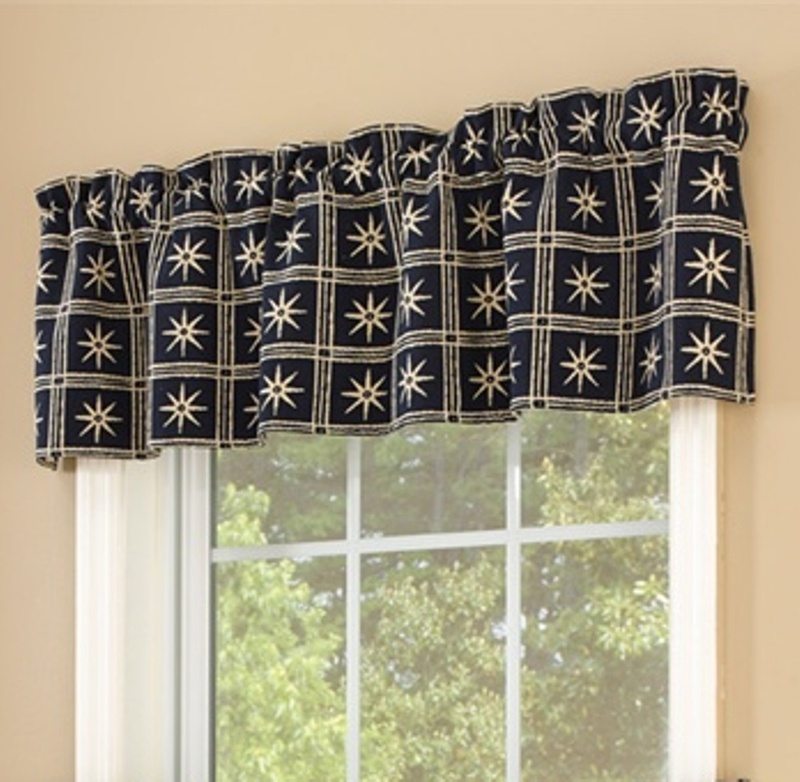 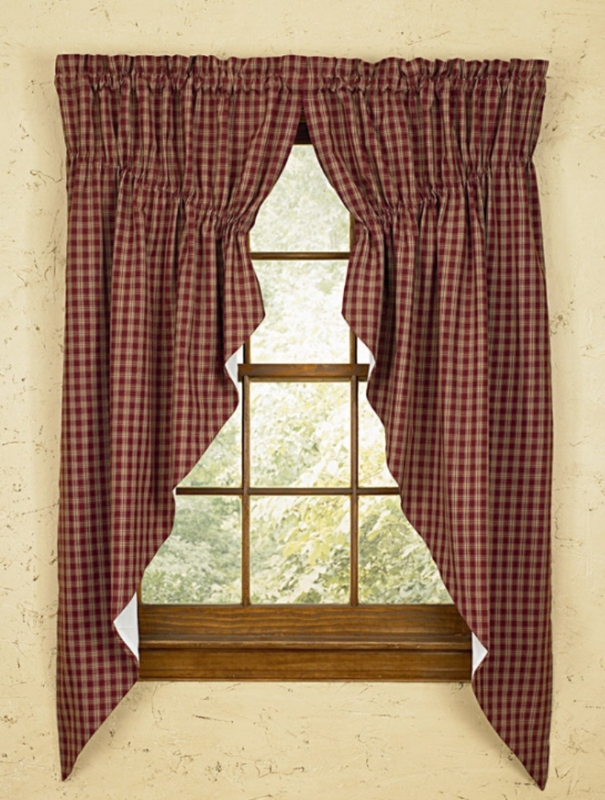 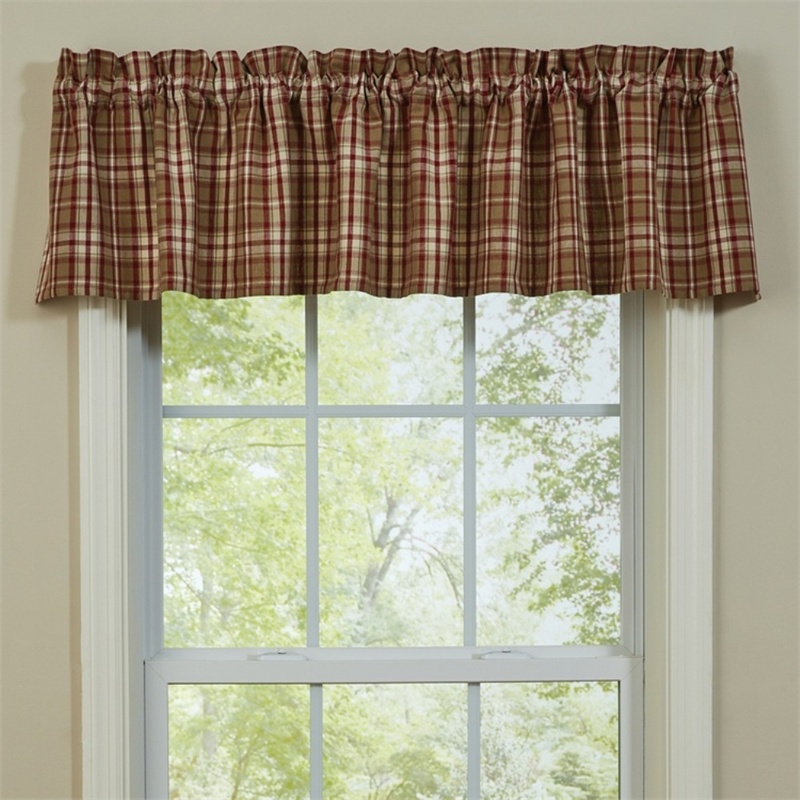 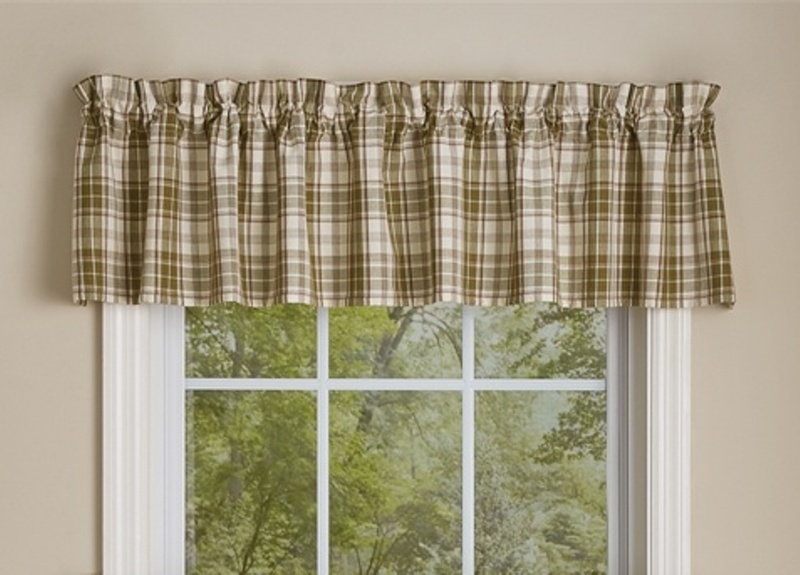 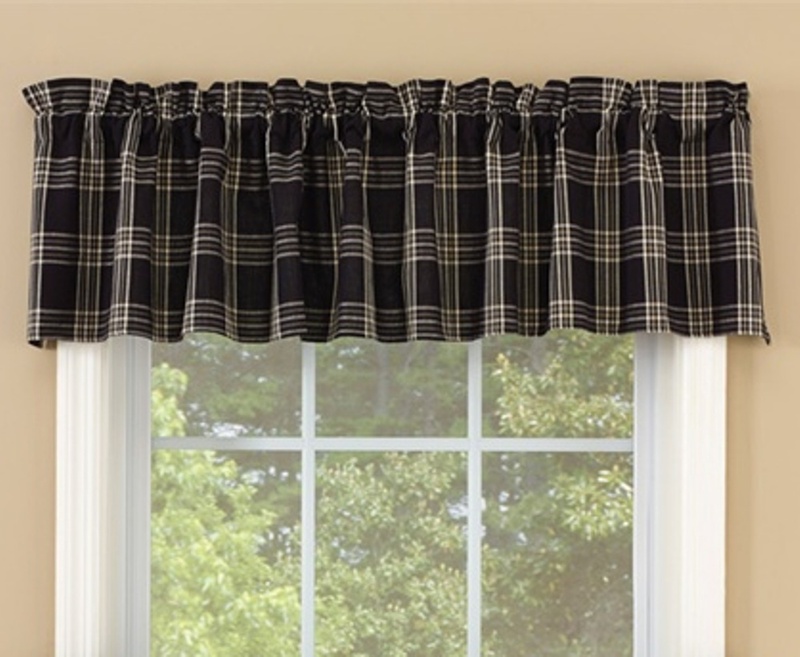 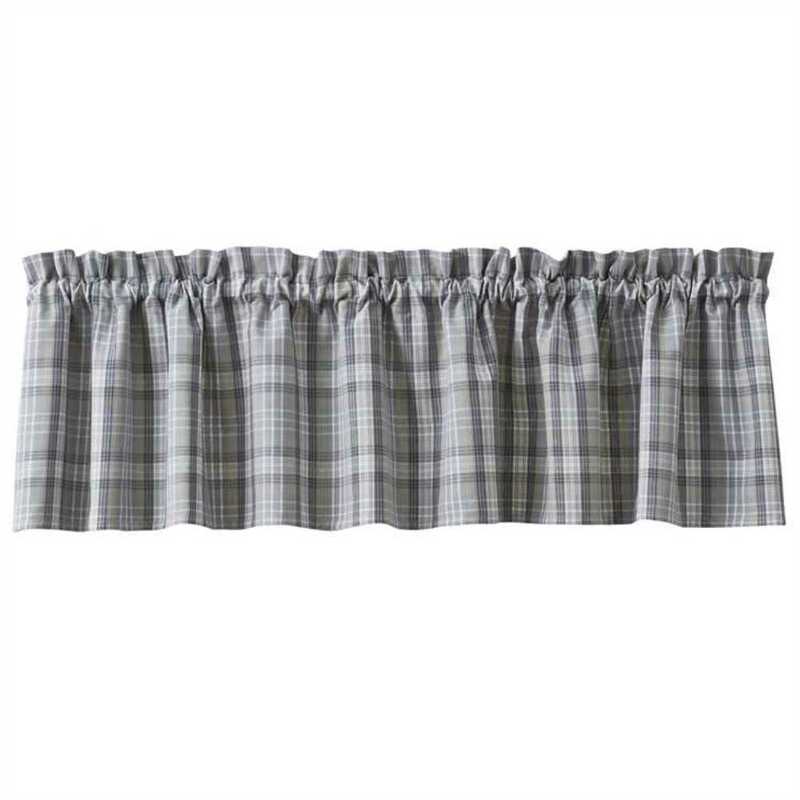 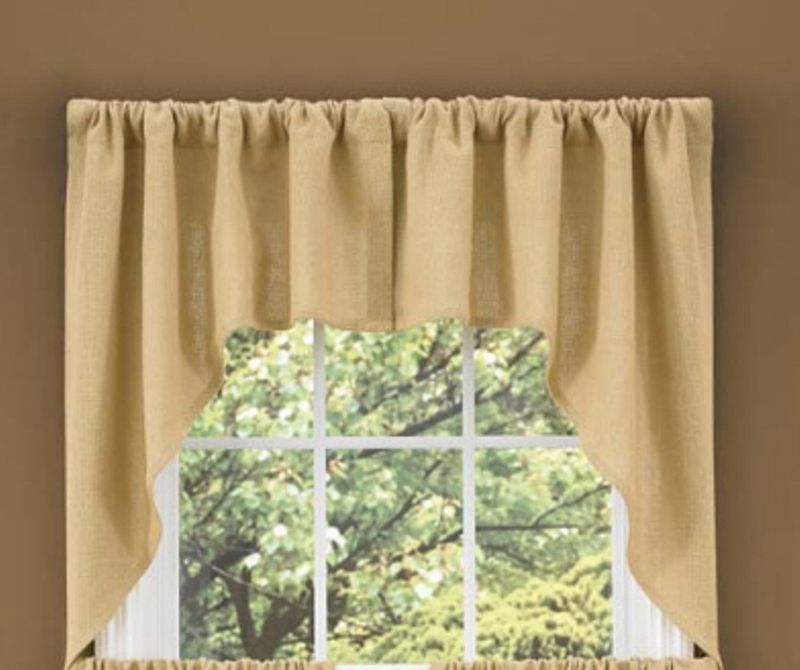 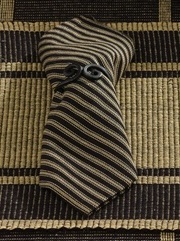 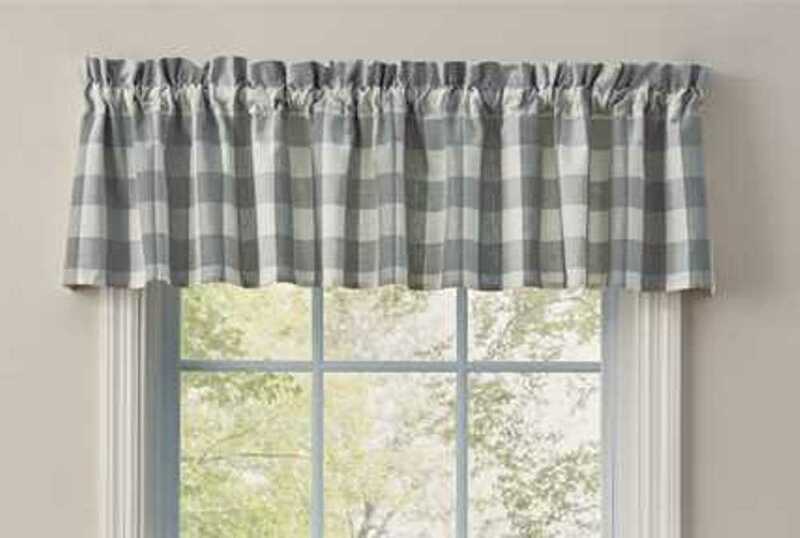 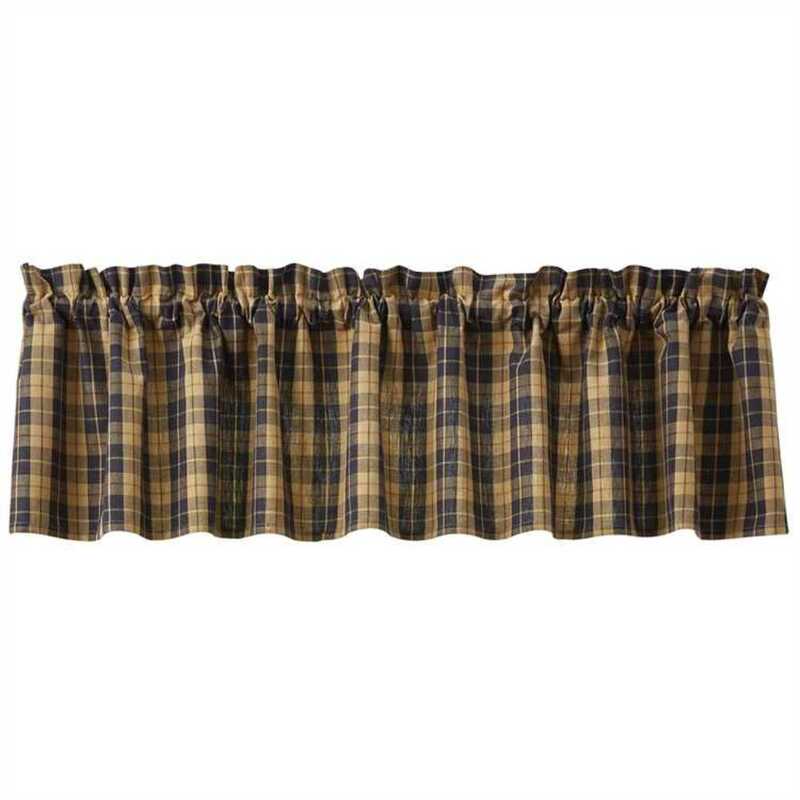 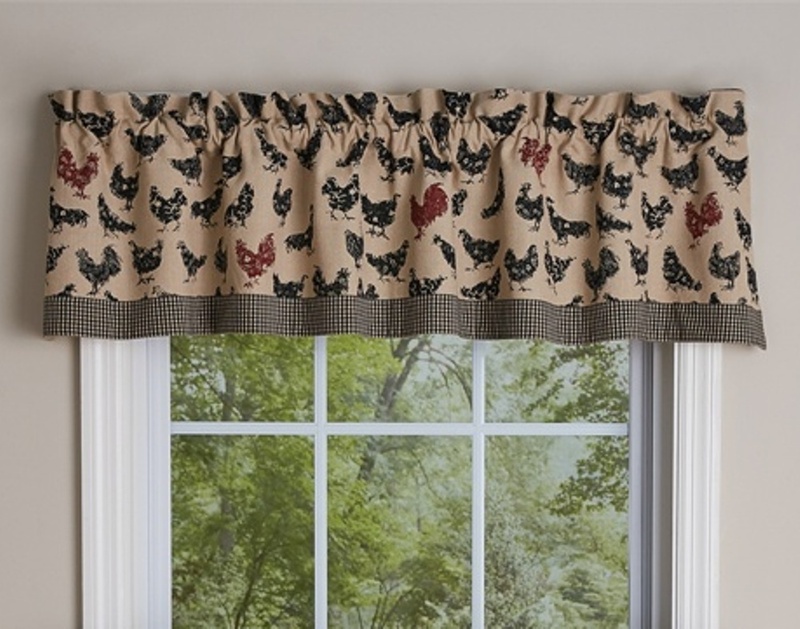 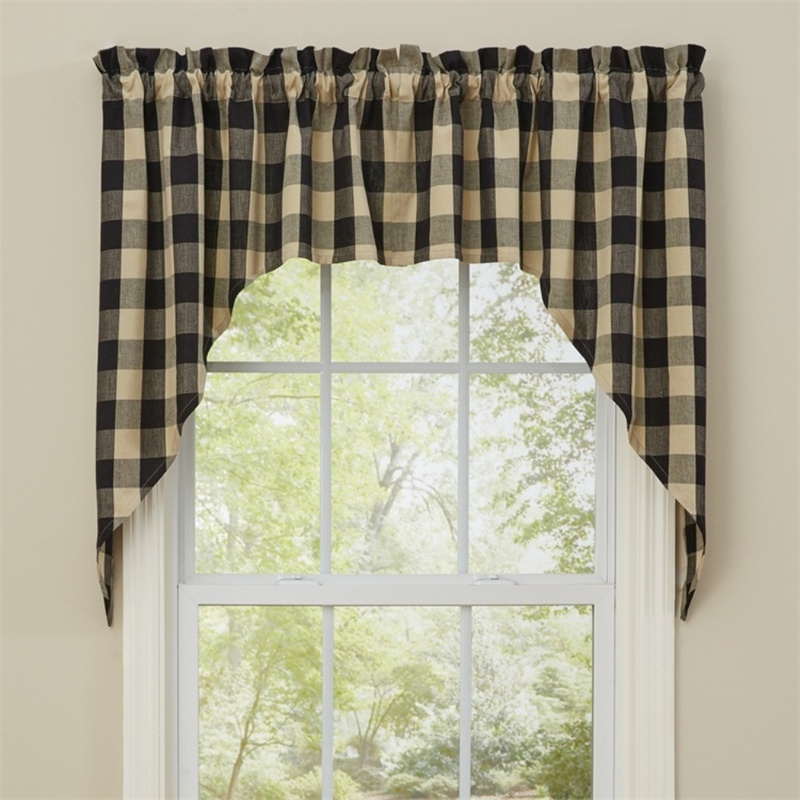 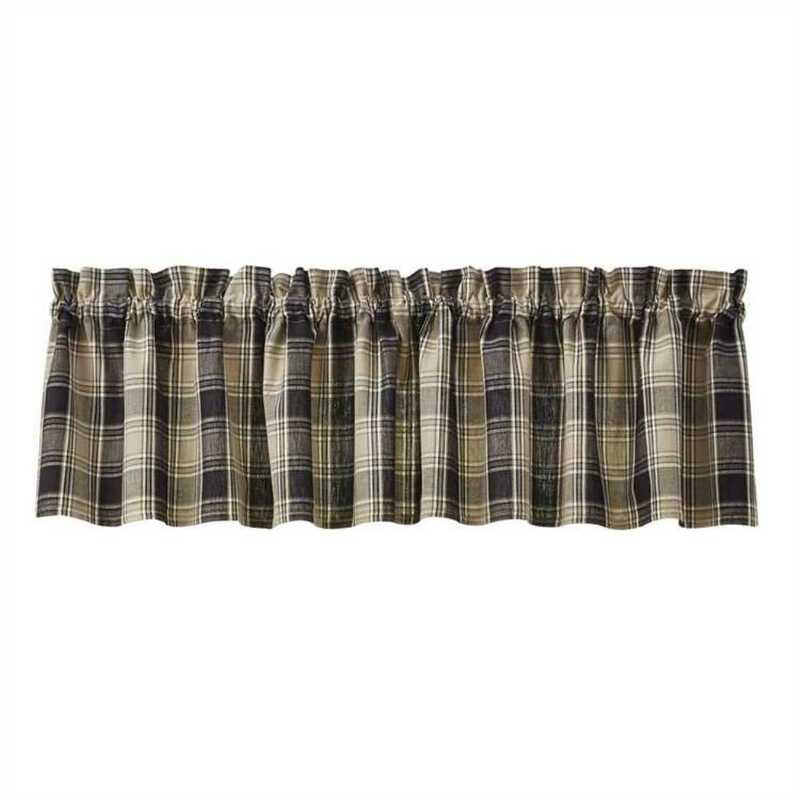 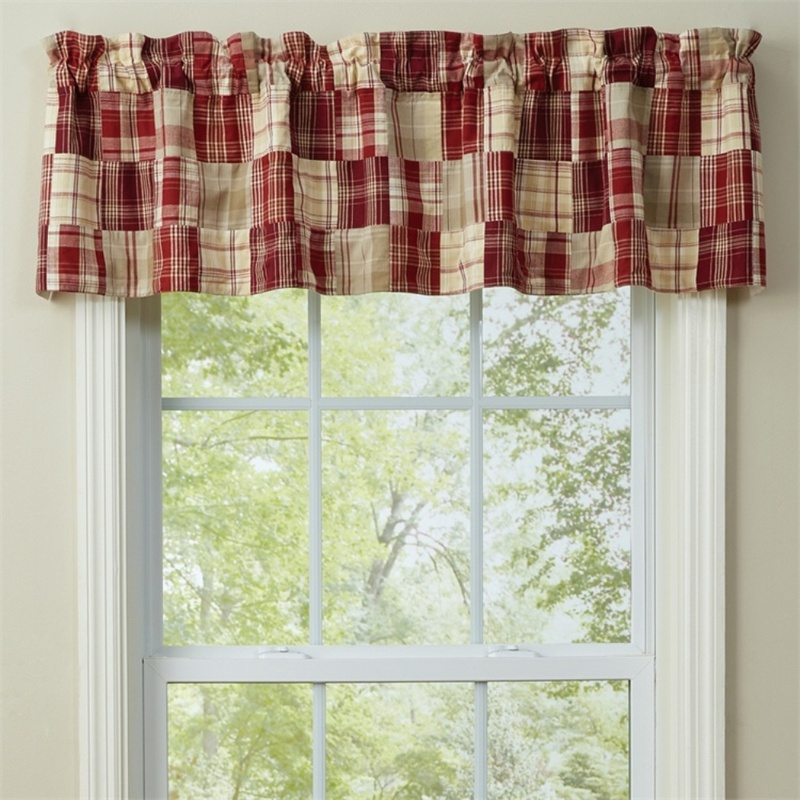 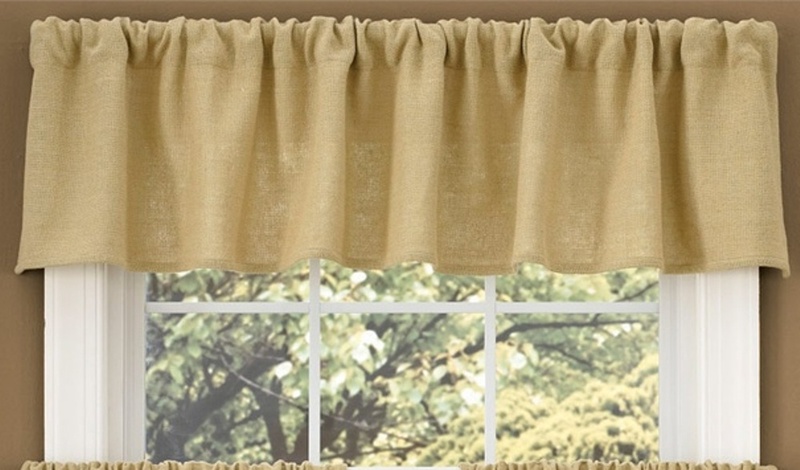 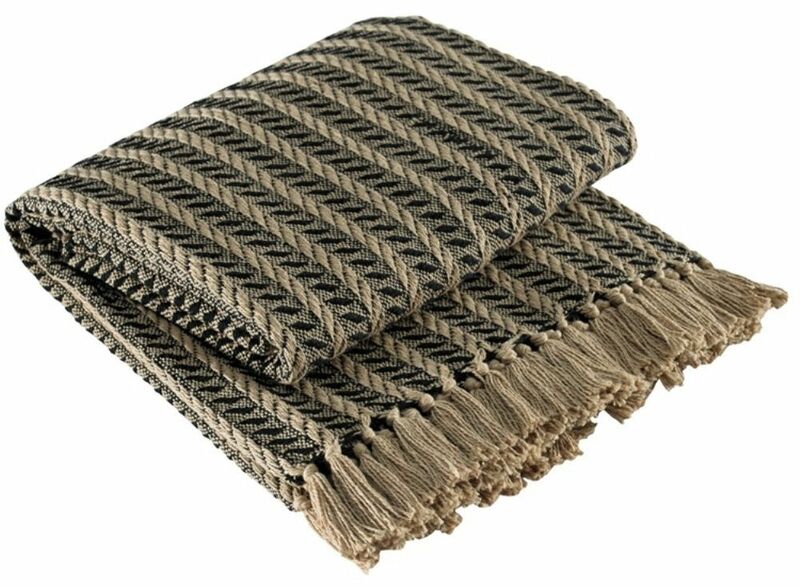 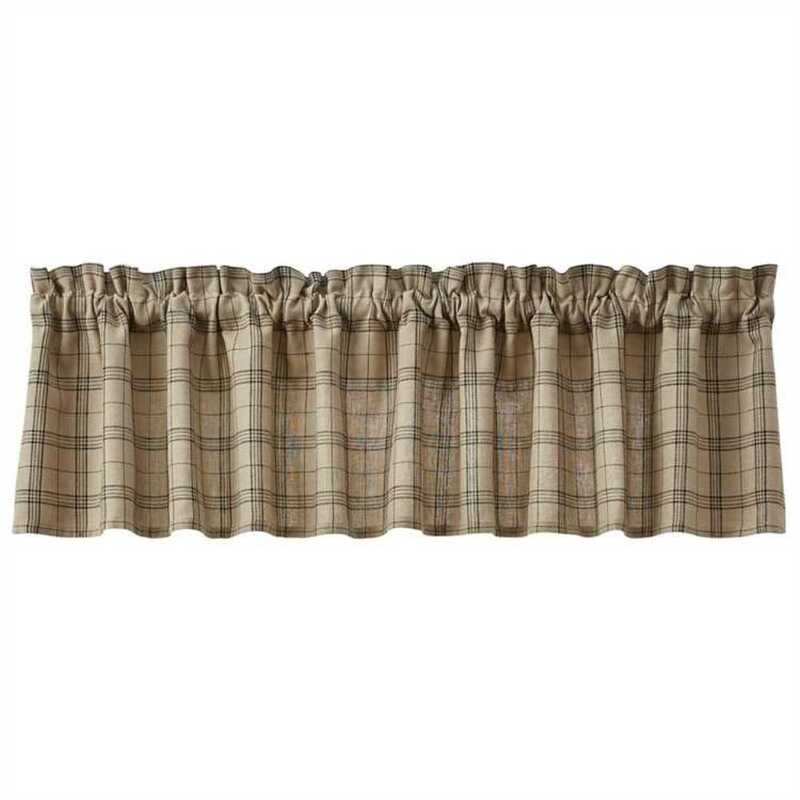 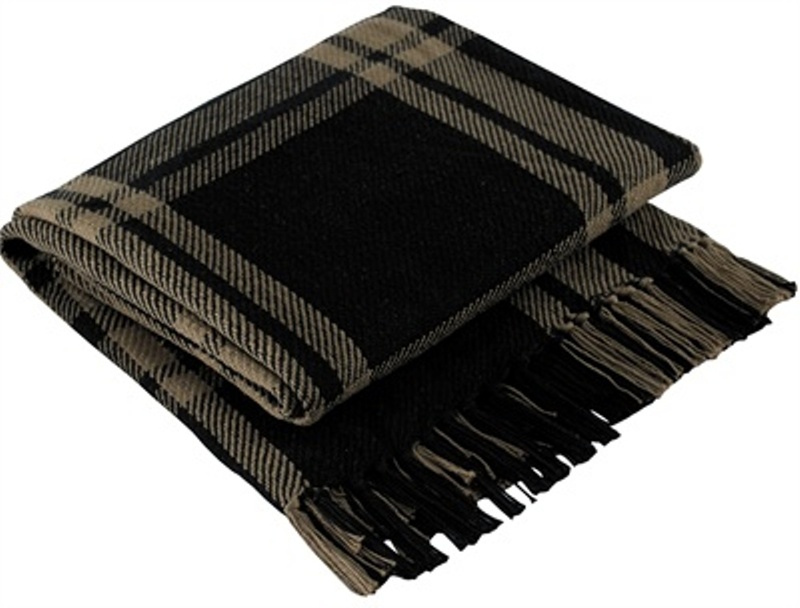 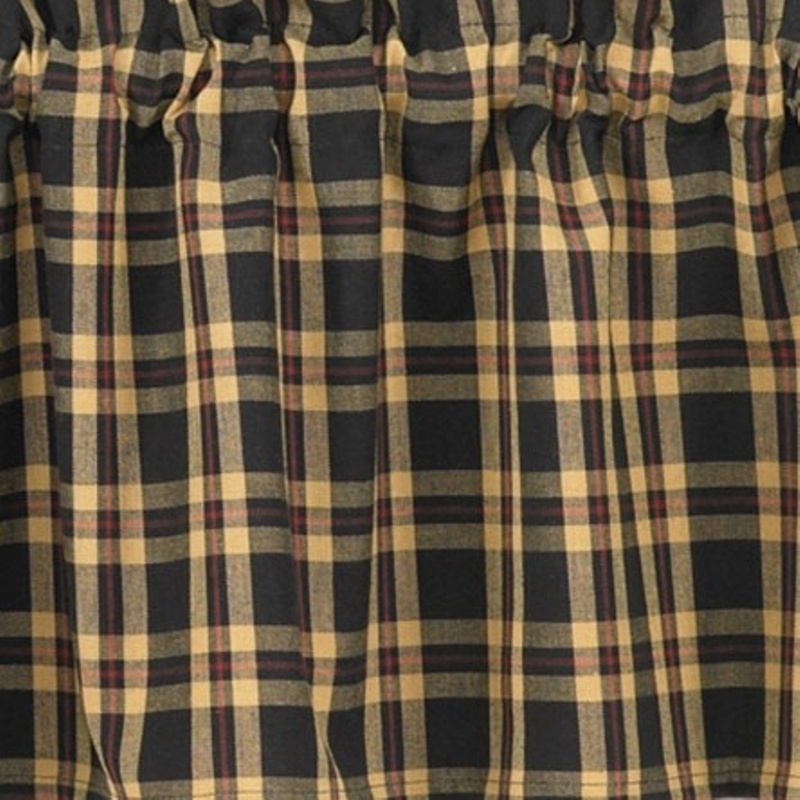 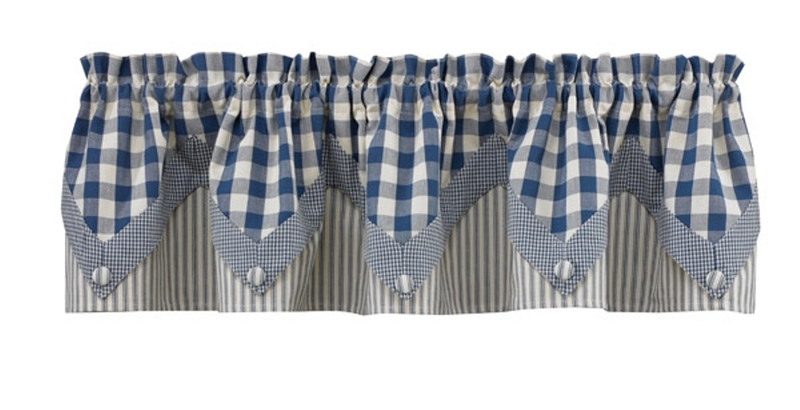 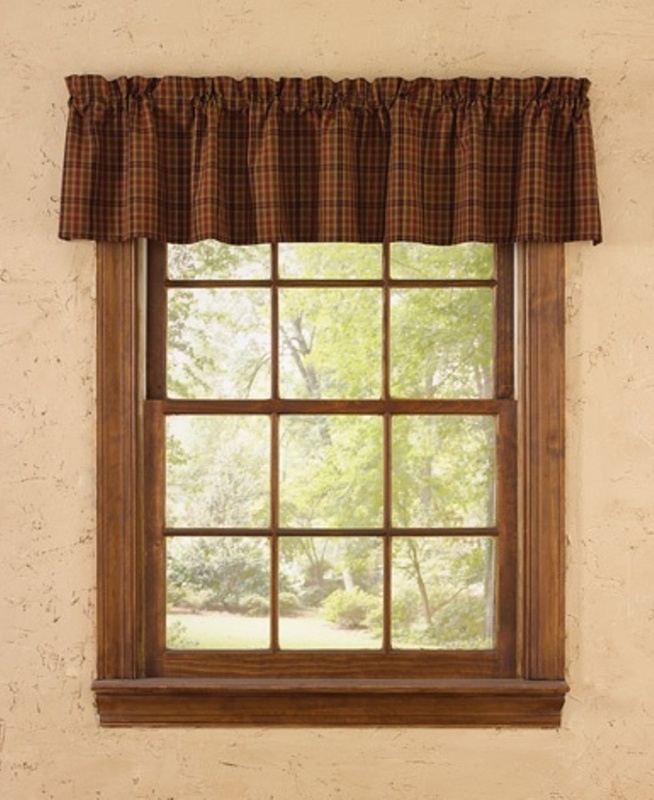 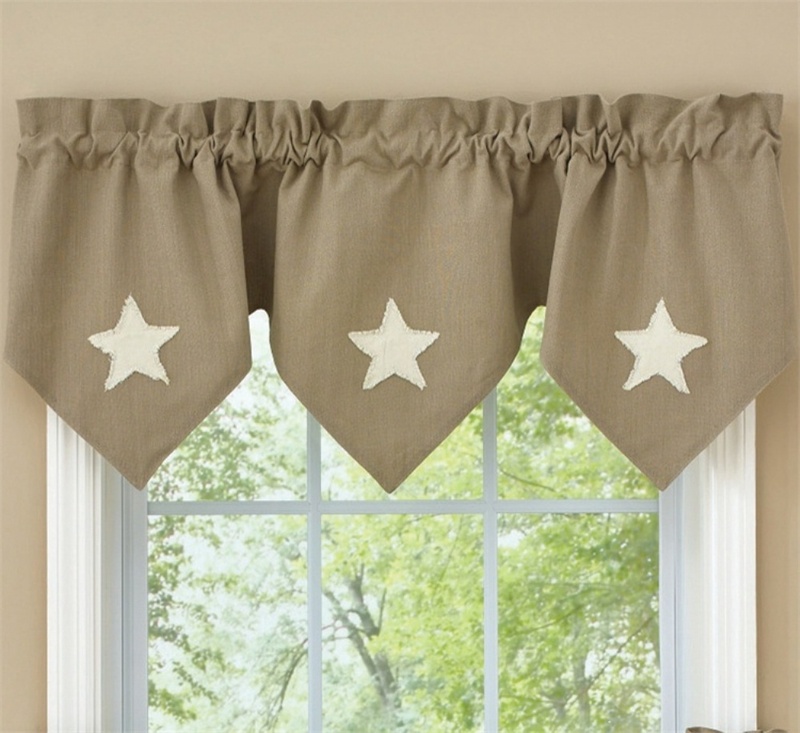 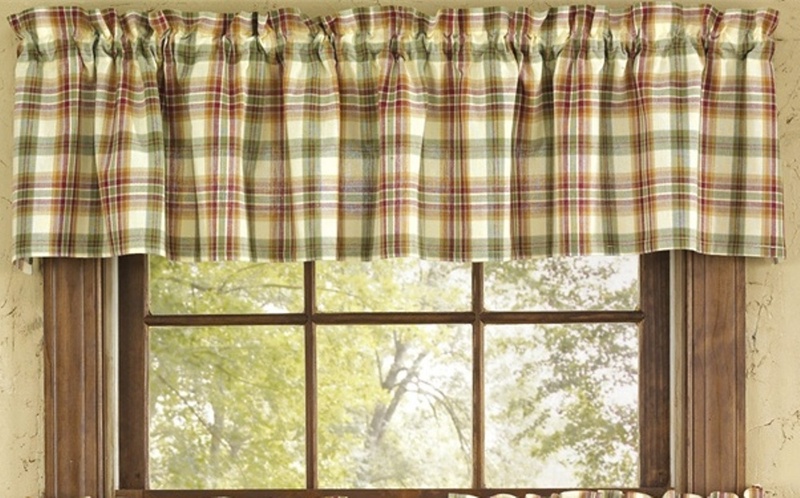 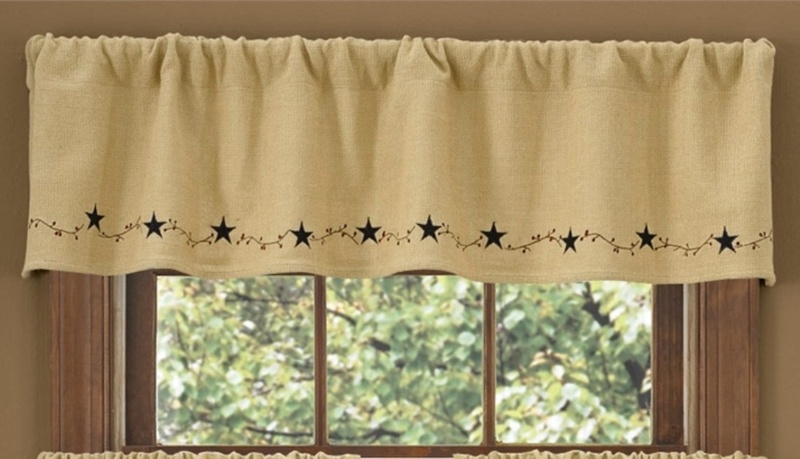 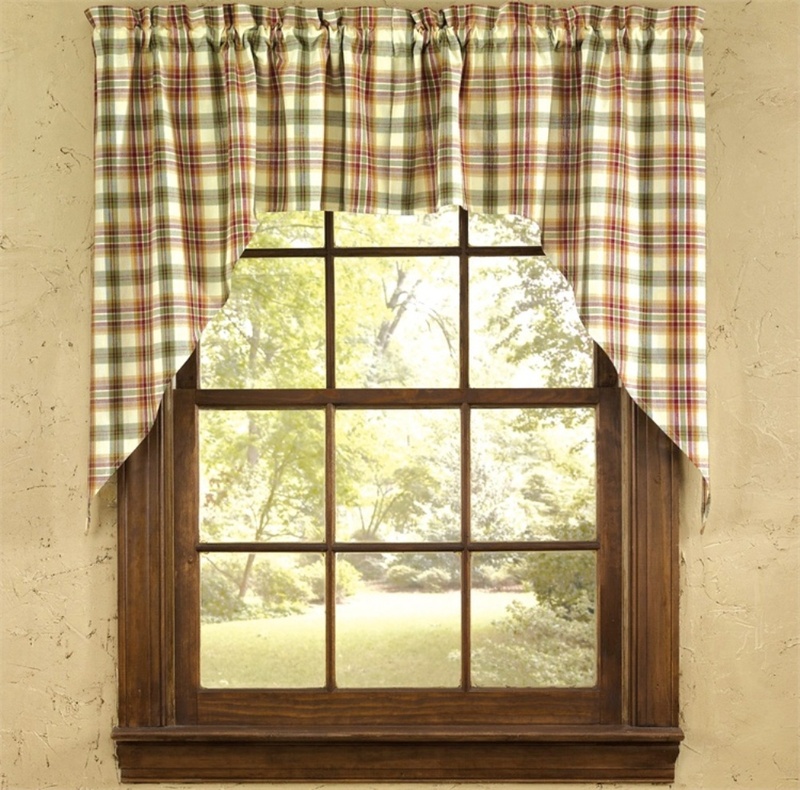 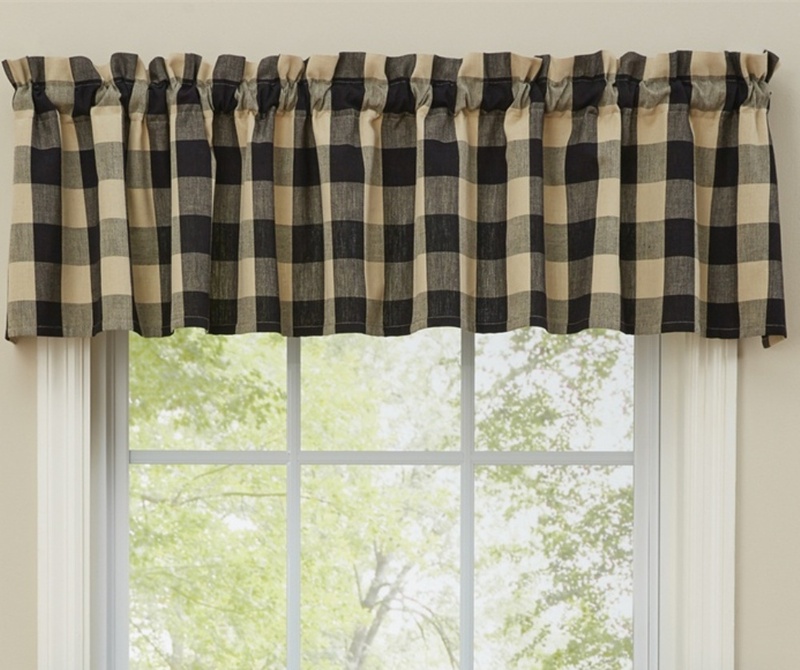 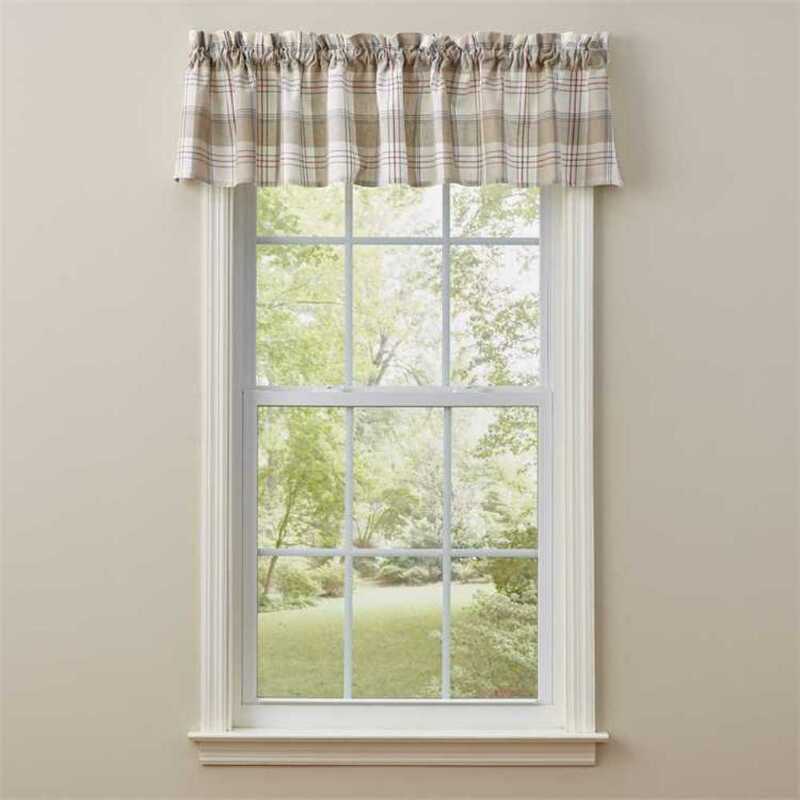 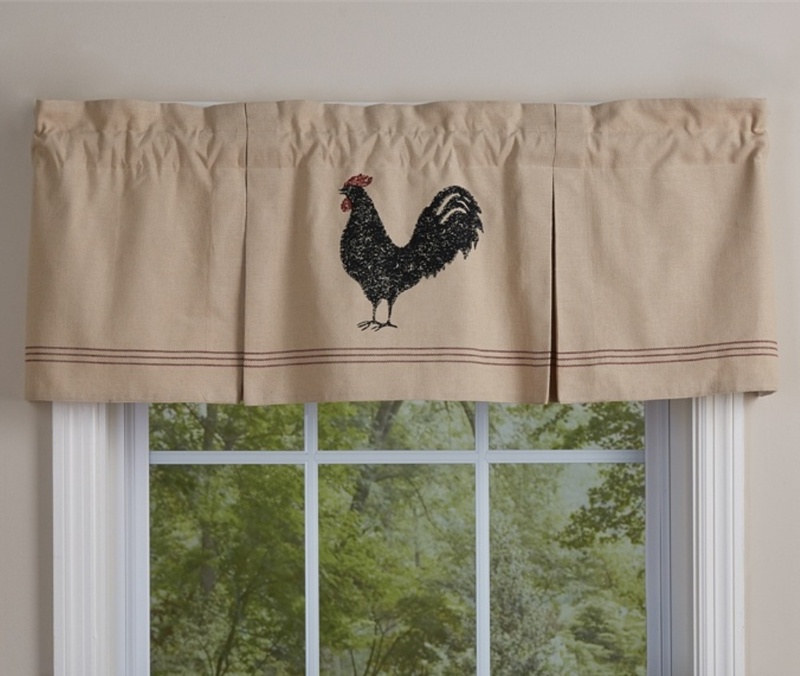 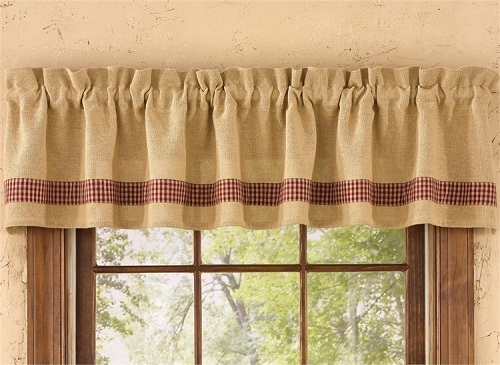 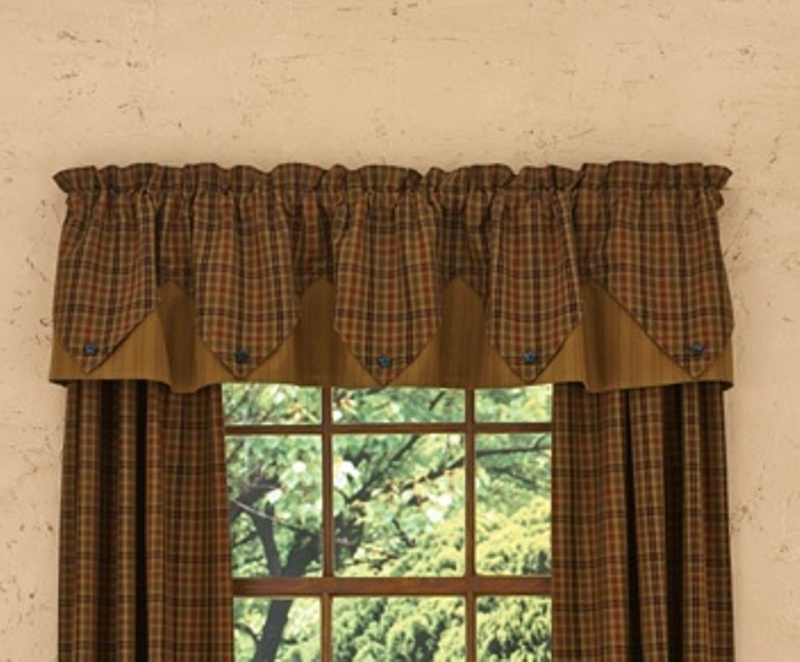 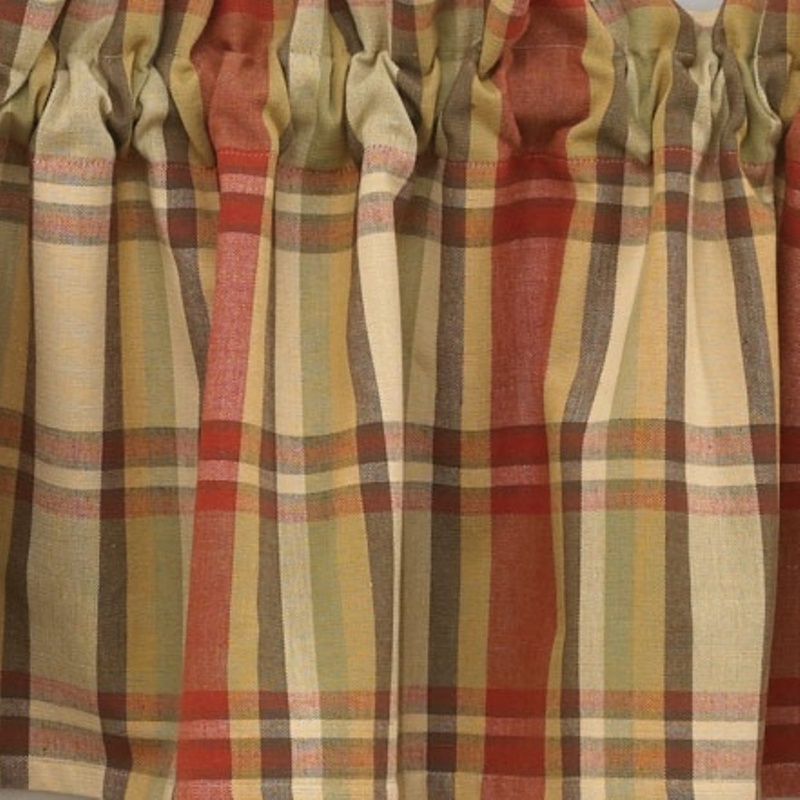 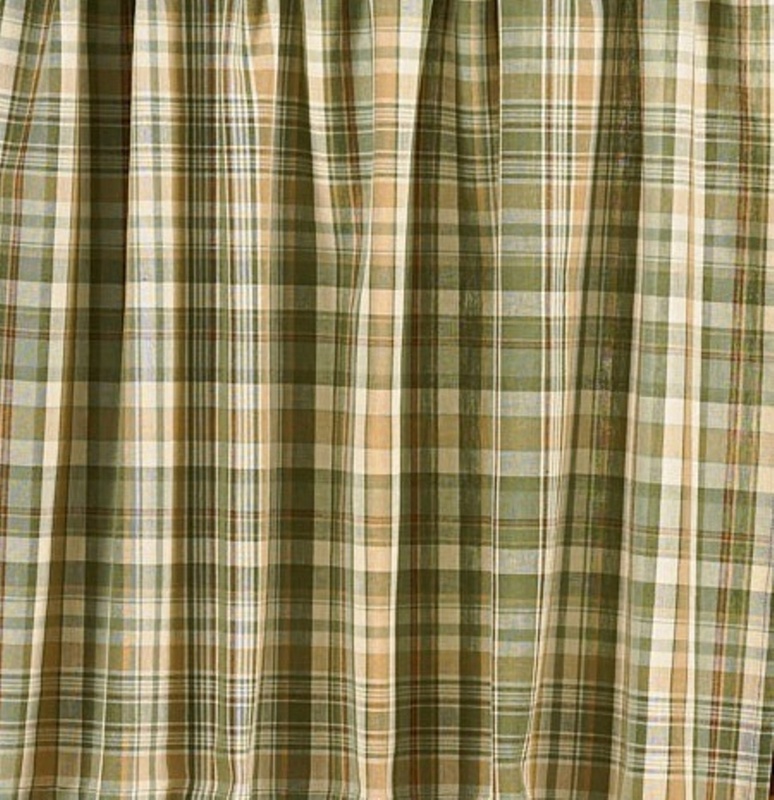 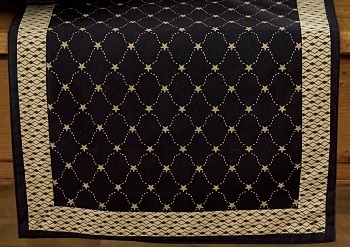 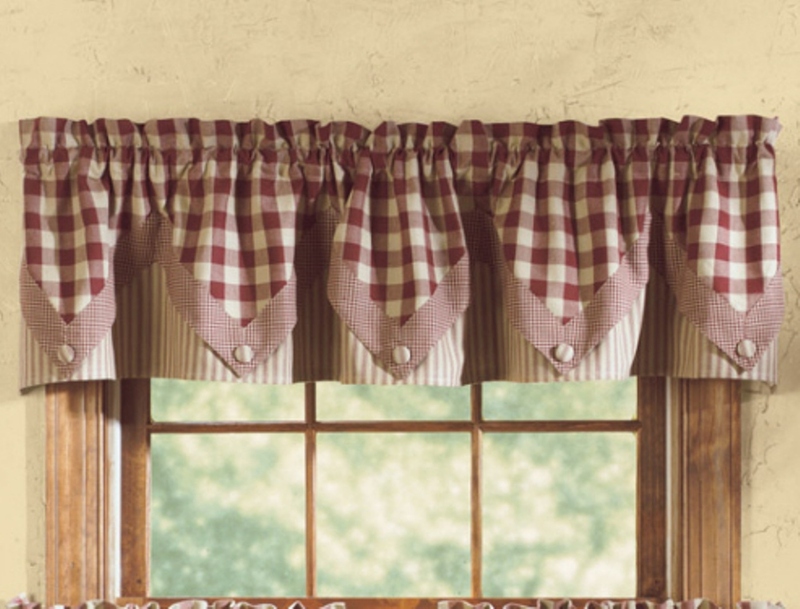 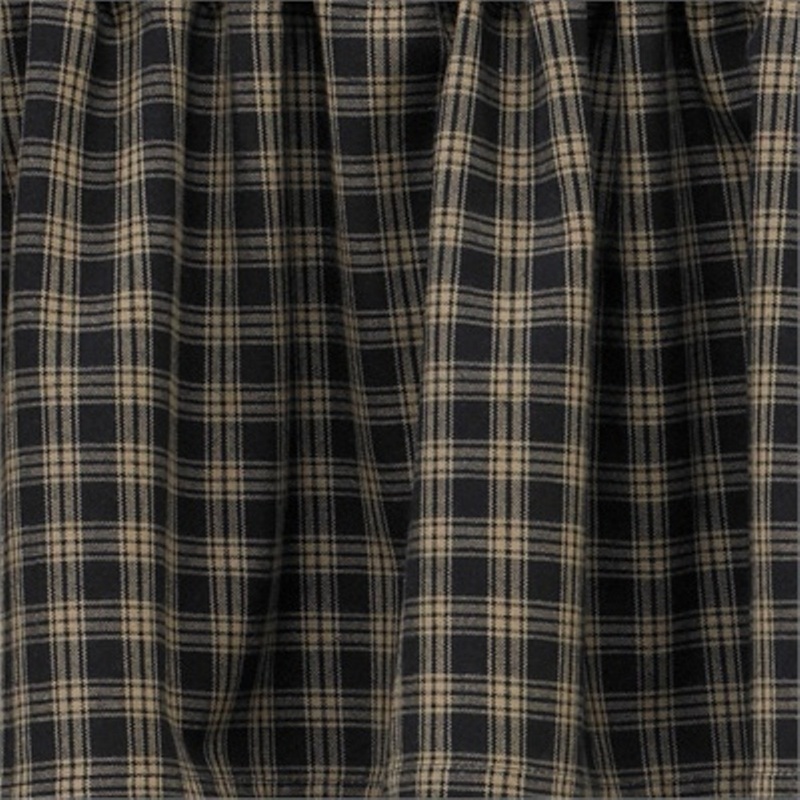 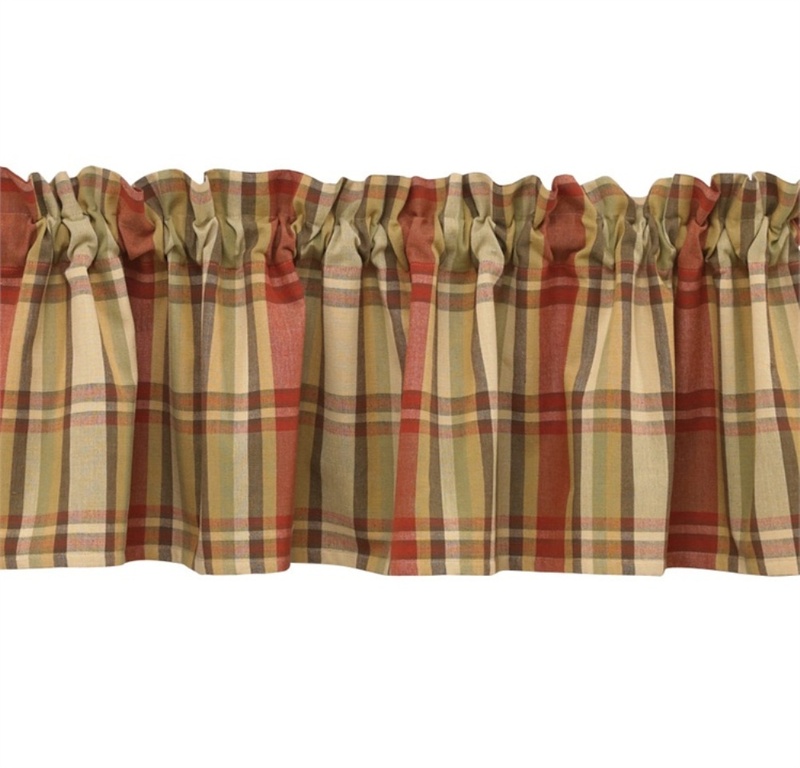 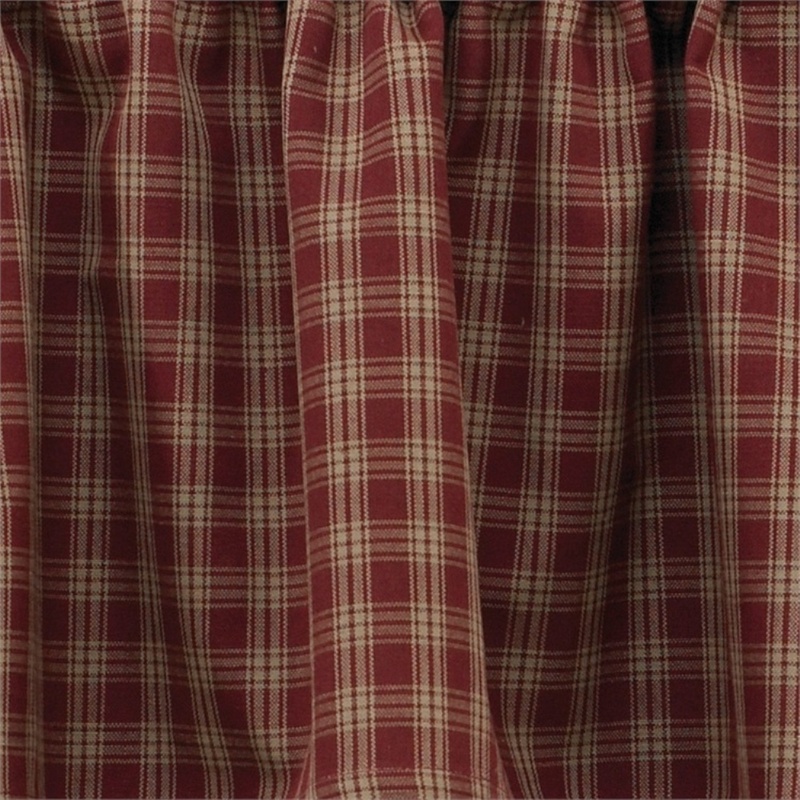 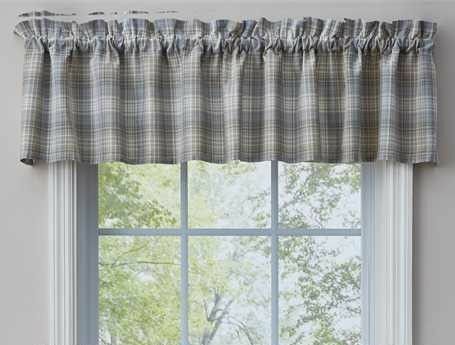 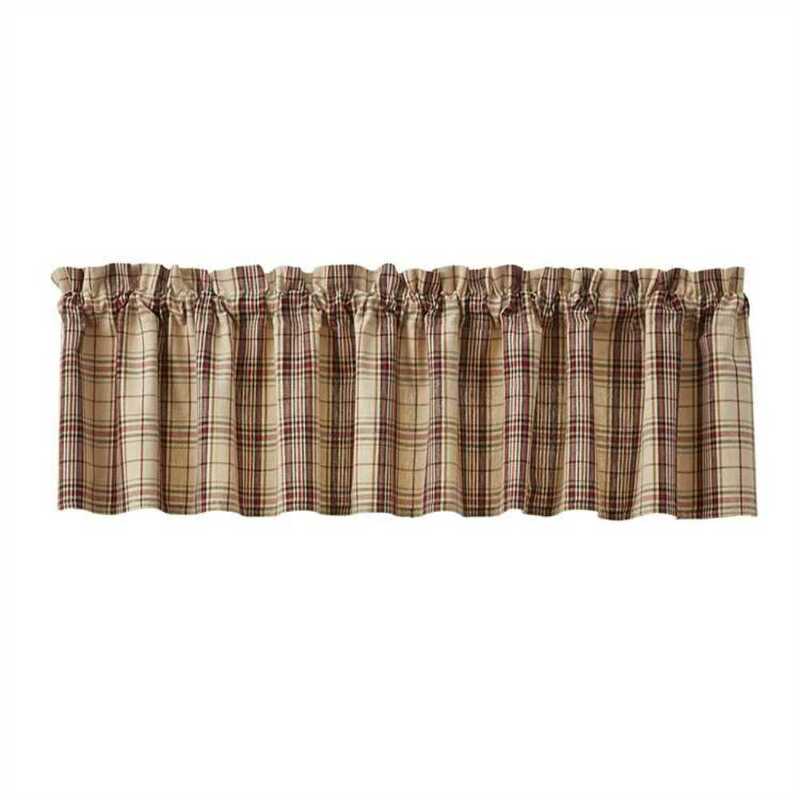 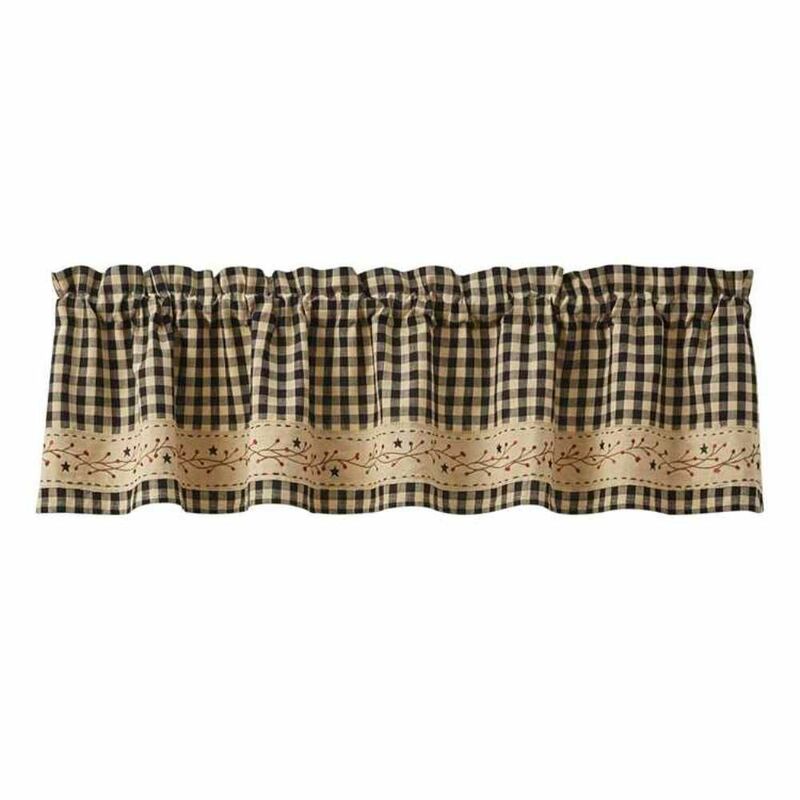 You’ll also find Park Designs window valances, swag curtains, decorative rugs and dishtowels in this collection. 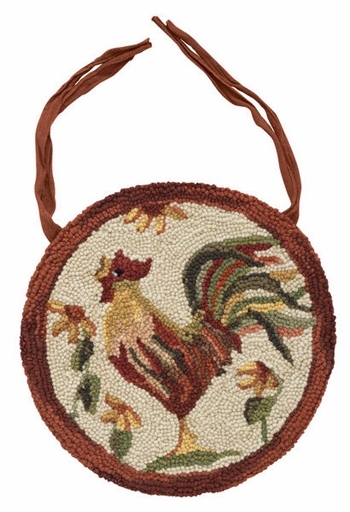 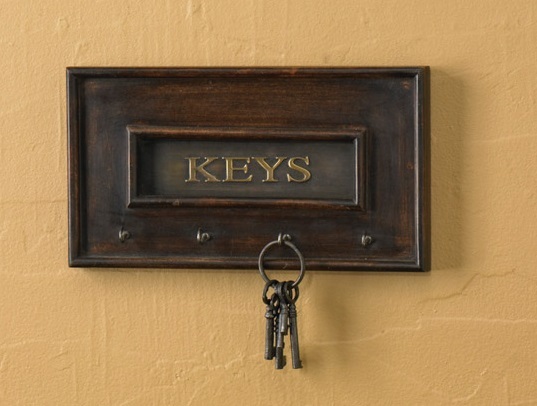 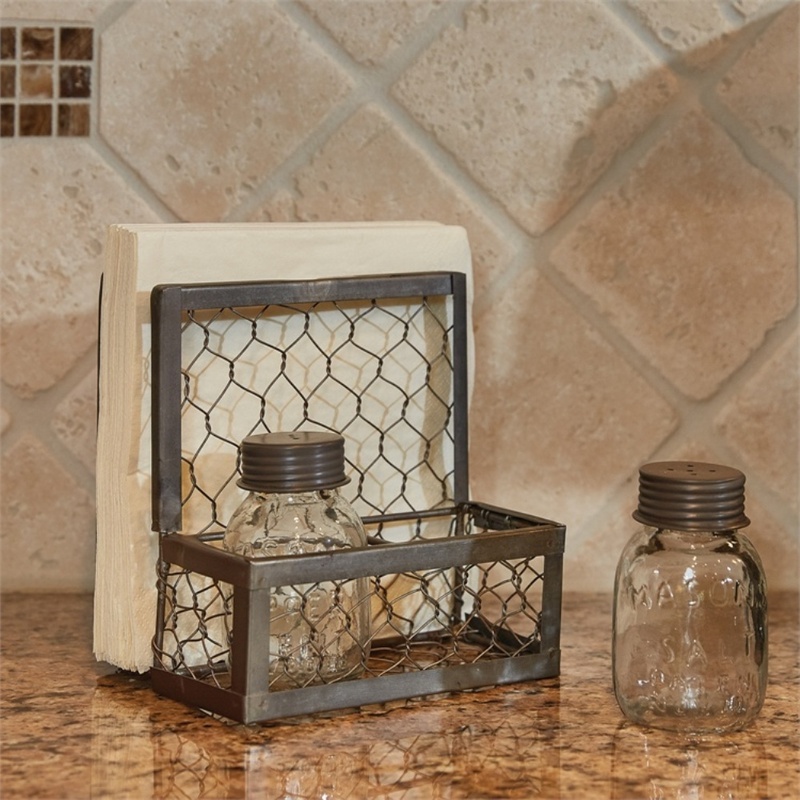 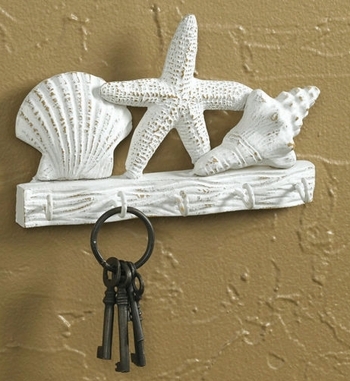 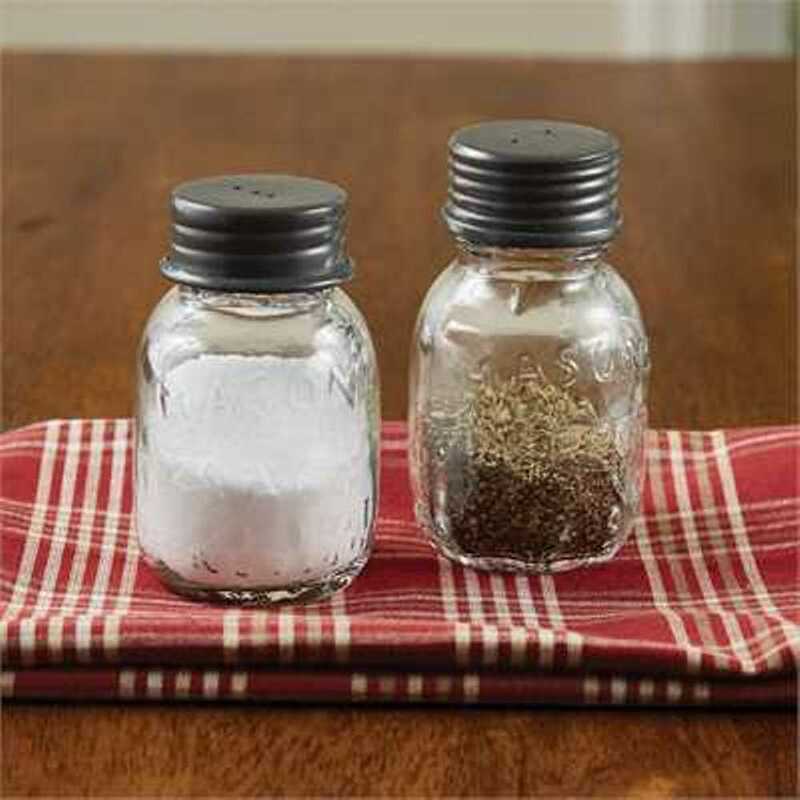 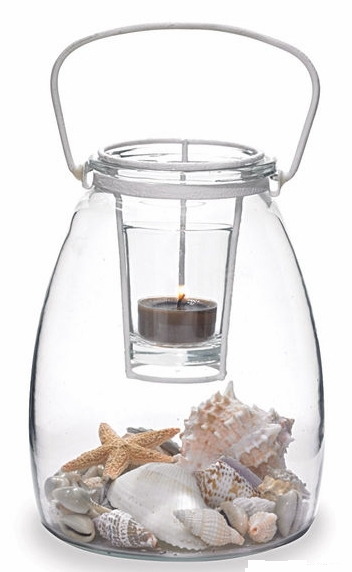 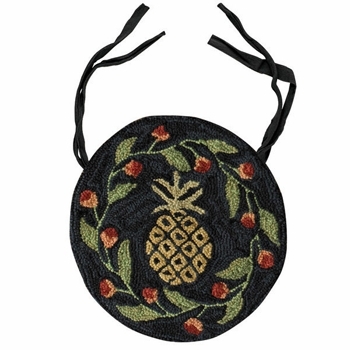 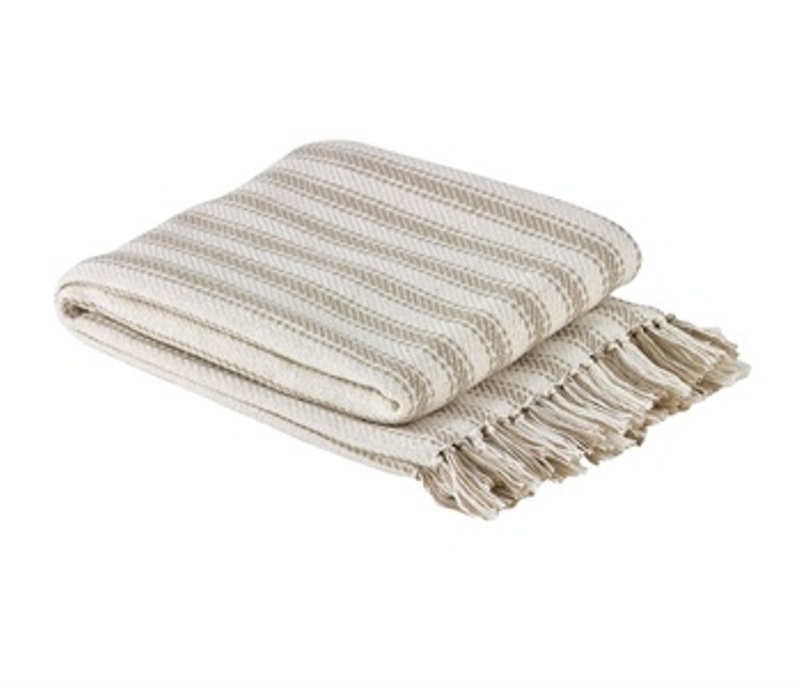 Each of these items adds a soft and chic touch to the most treasured places in your home. 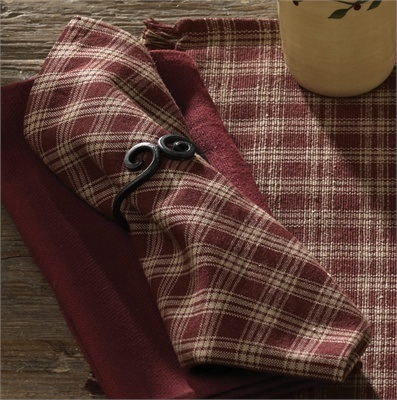 One of the biggest benefits of decorating with Park Designs products is that these items all feature a quintessentially tied-together look. 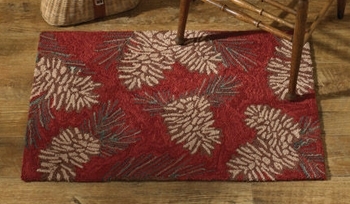 The rich, earthy tones and rustic style will allow you to ensure that every room in your home is thoughtfully designed. 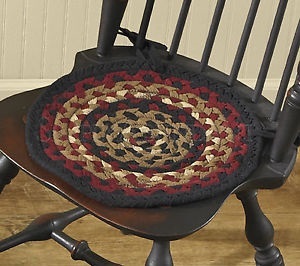 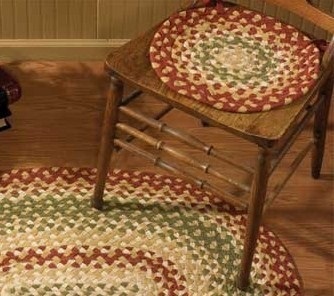 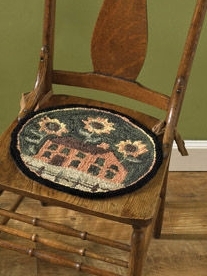 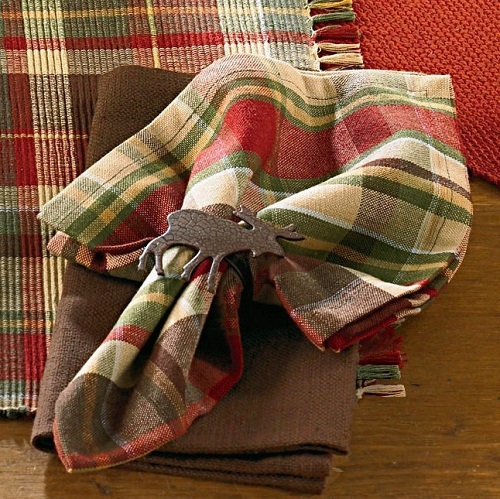 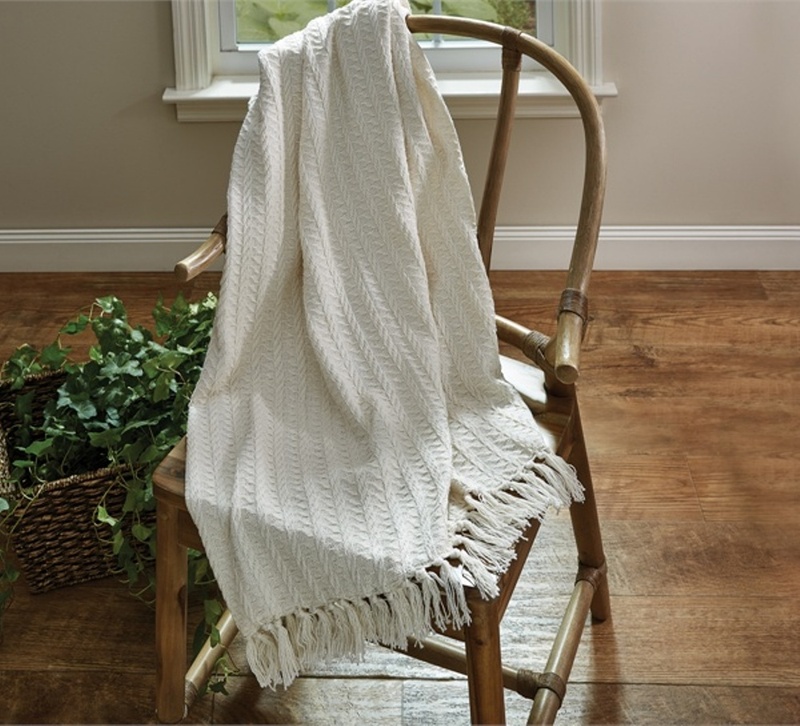 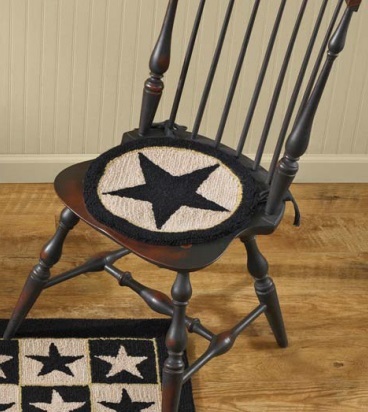 Simply add small touches like Park Designs chair pads, plaid dishcloths, country woven placemats to each room, and you’ll instantly find more charming, country style infused throughout your space. 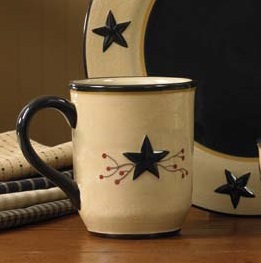 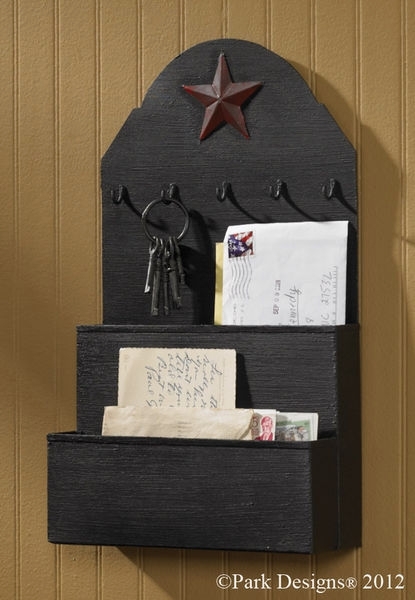 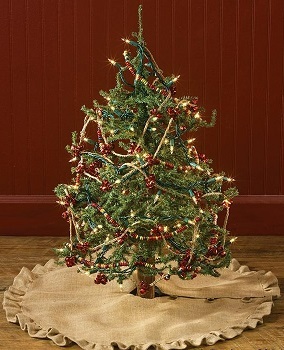 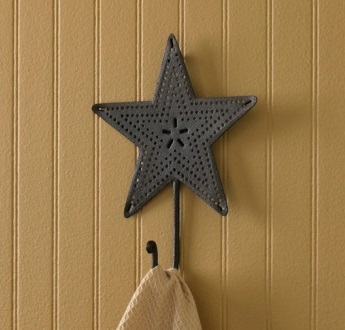 Simplify your decorating to-do list by getting all of your home’s remarkable accents from the Park Designs collection.